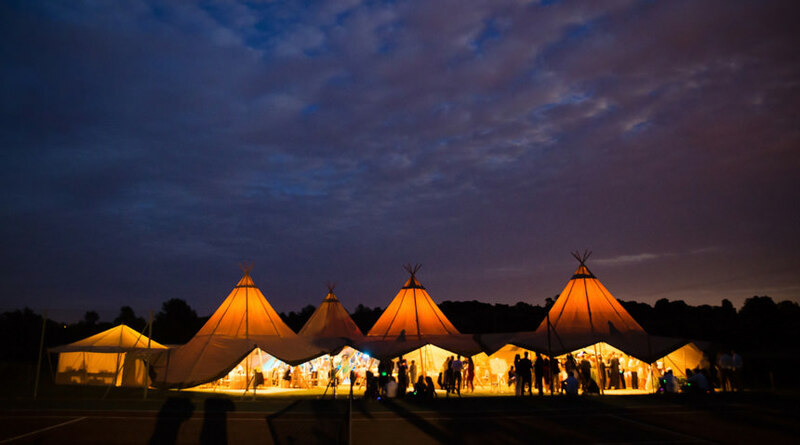 Hannah and Pete’s garden tipi wedding took place on a sunny day in August, shortly before jetting off to a new life together in America. 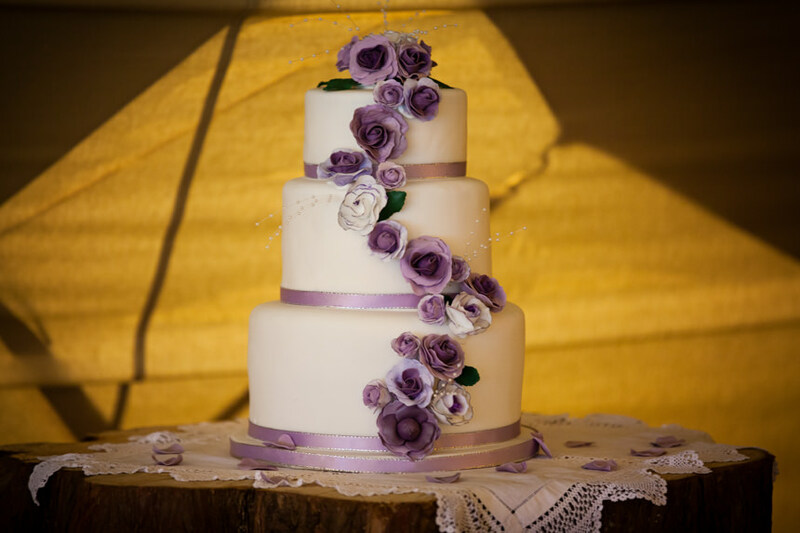 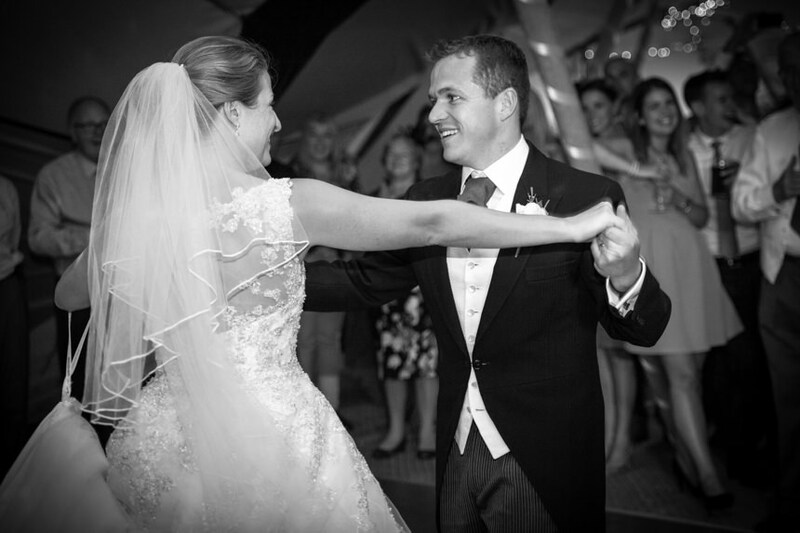 So their wedding was a double celebration; a wedding and a farewell! 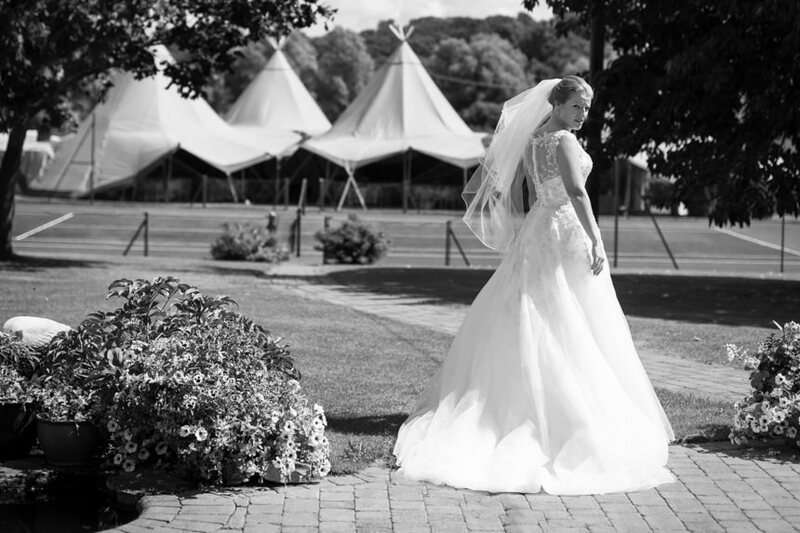 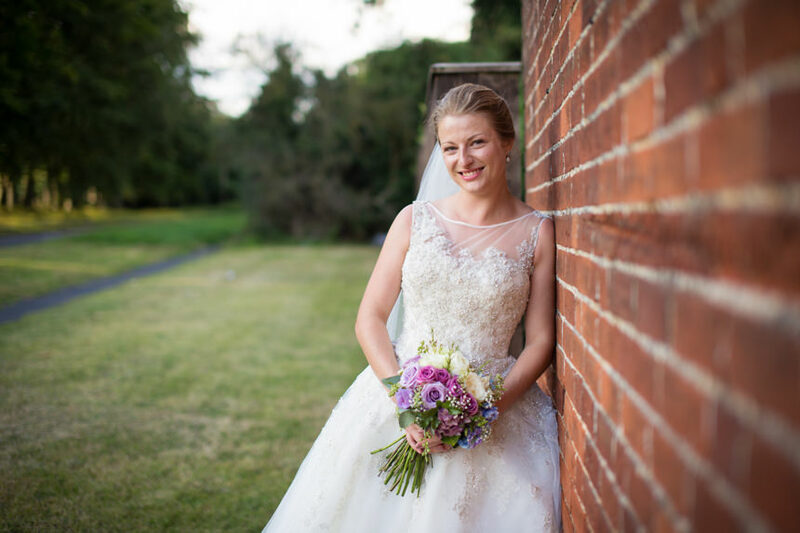 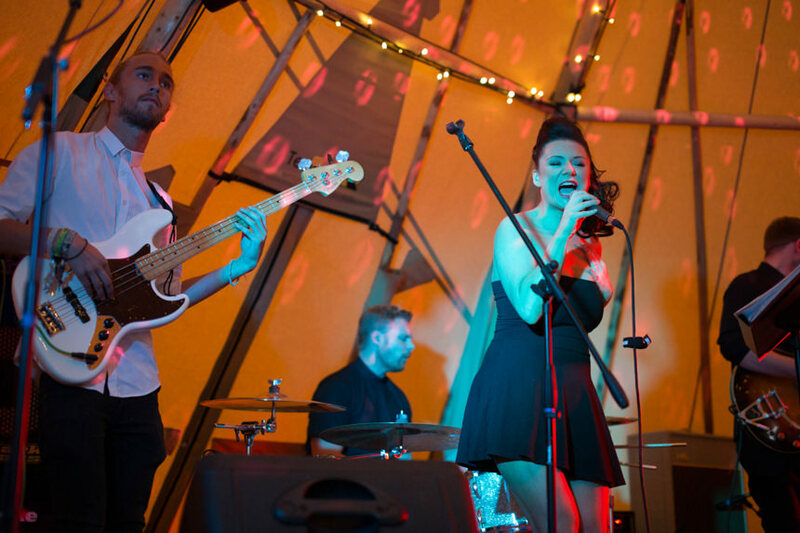 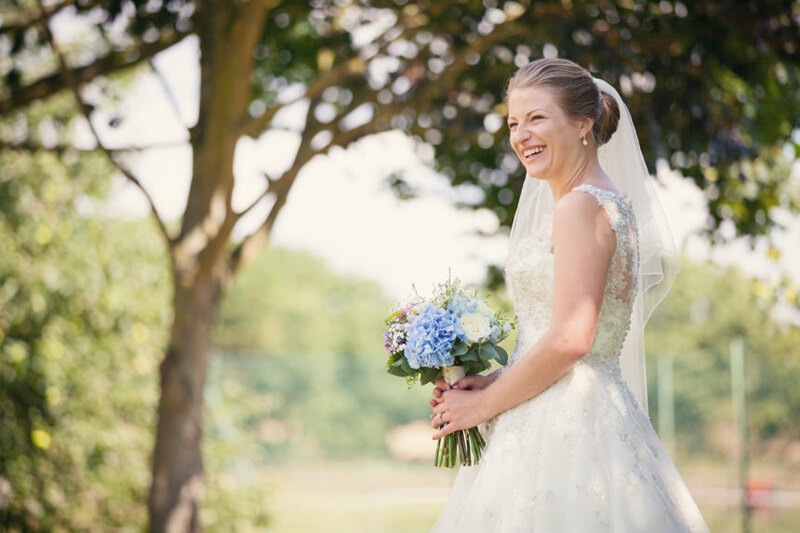 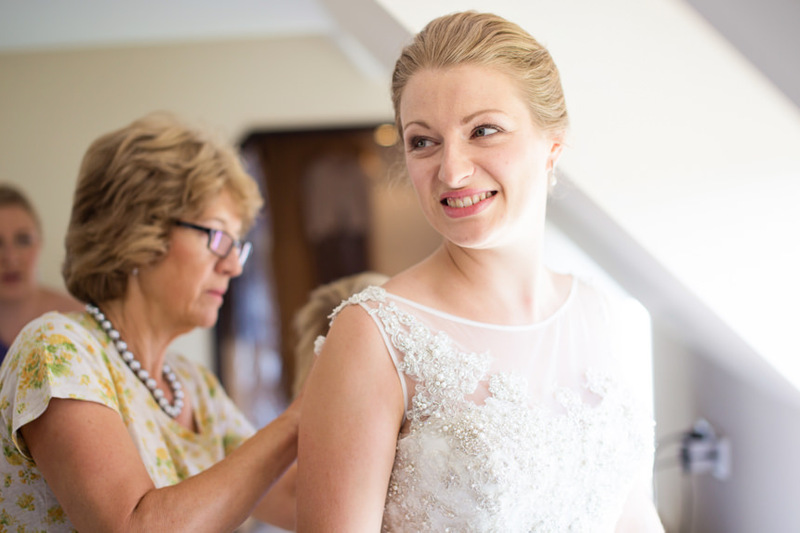 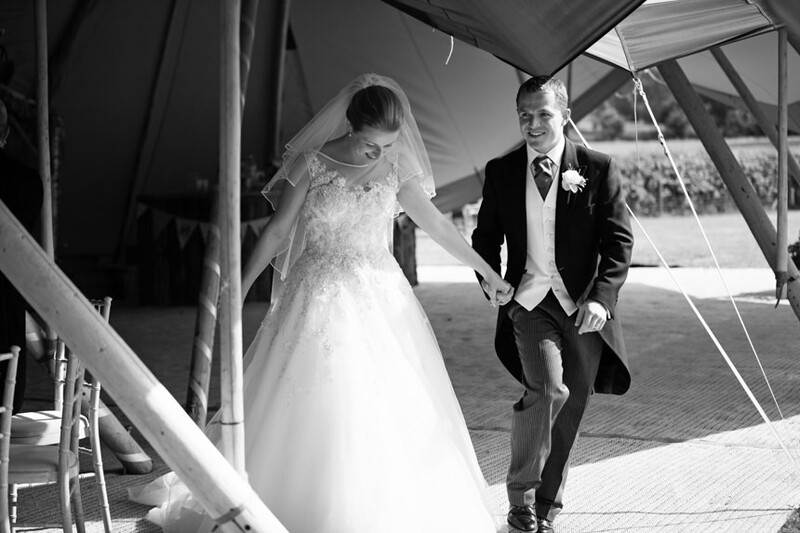 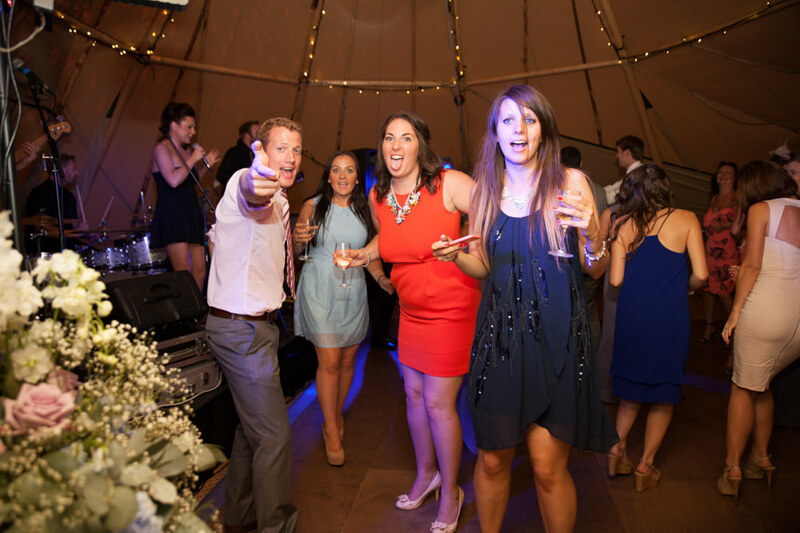 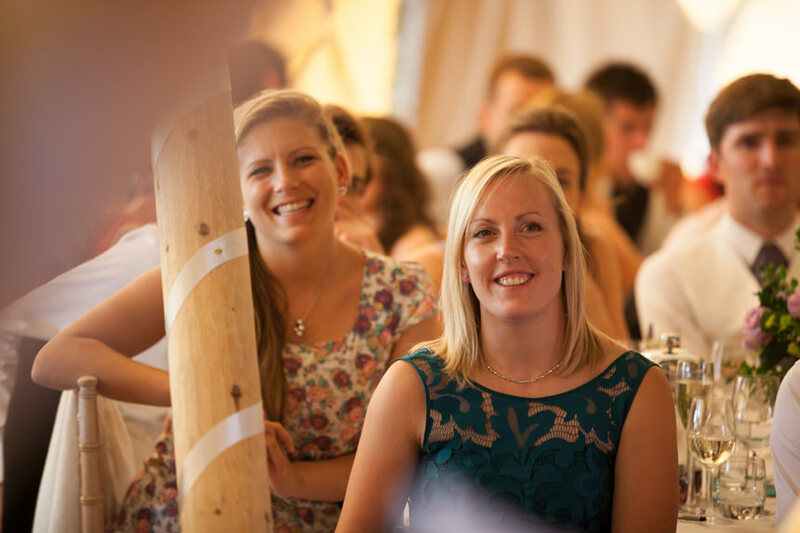 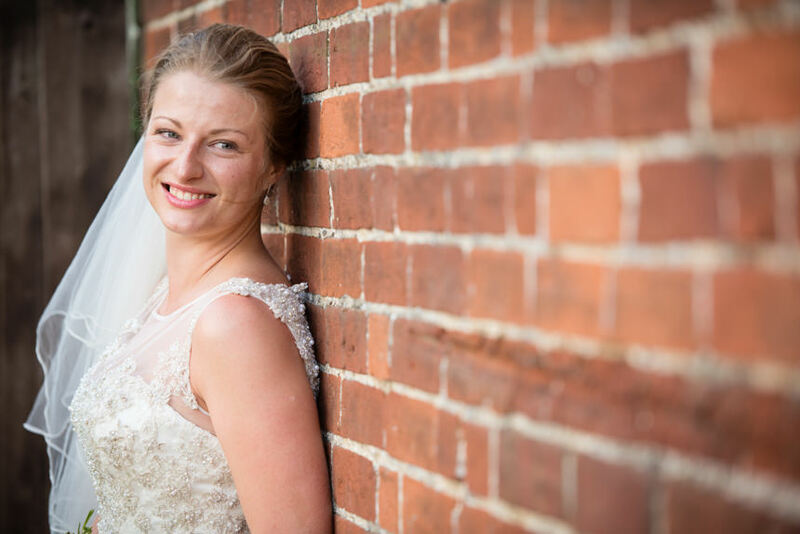 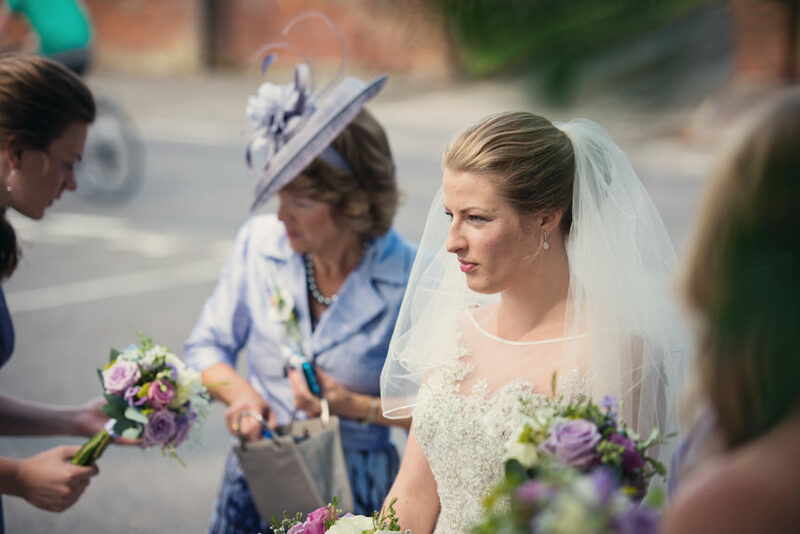 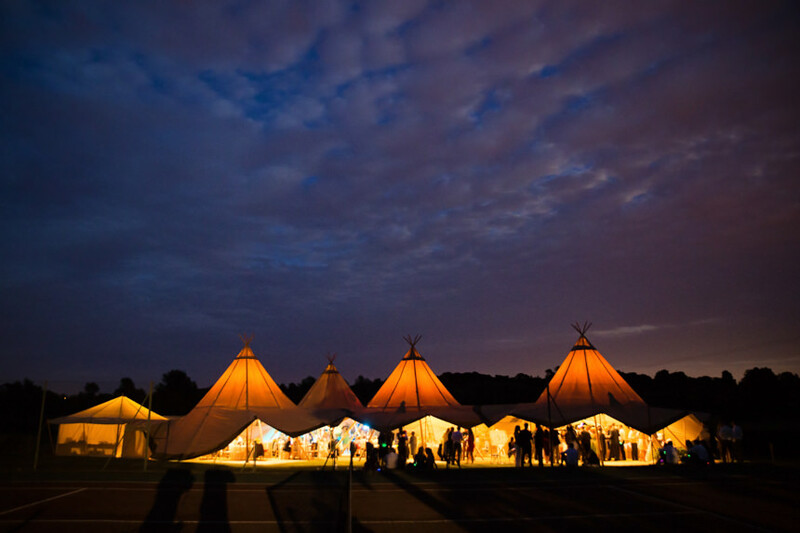 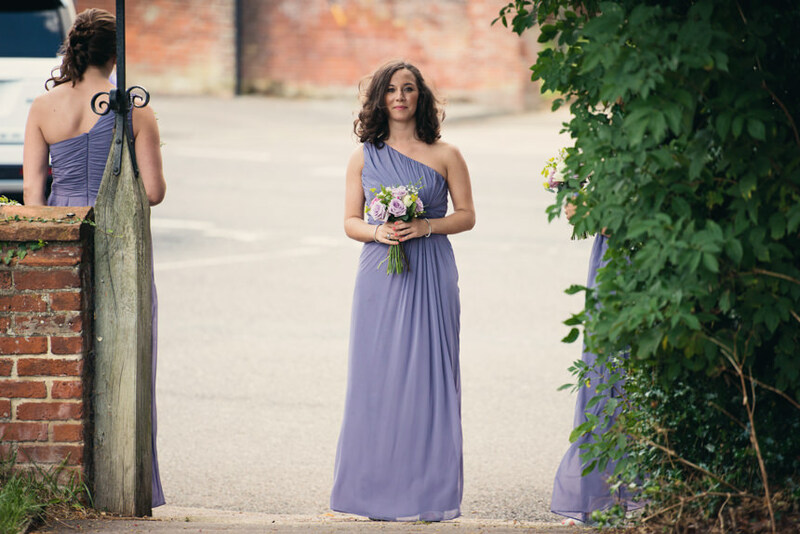 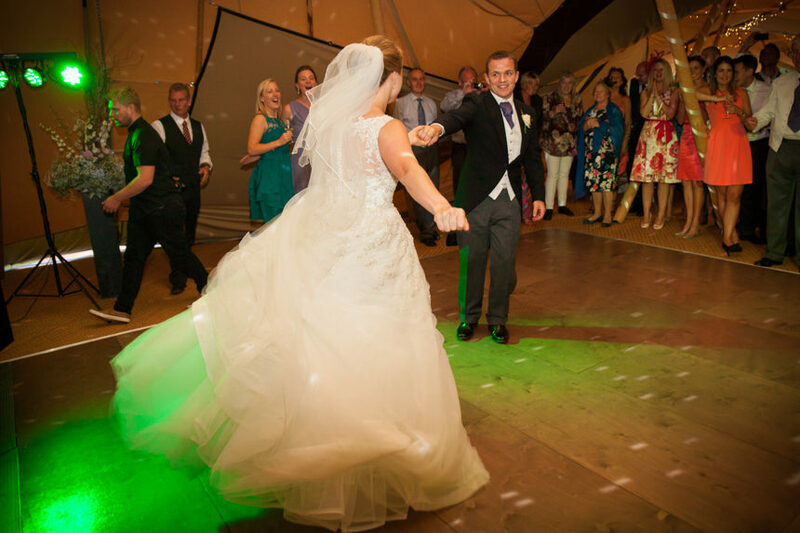 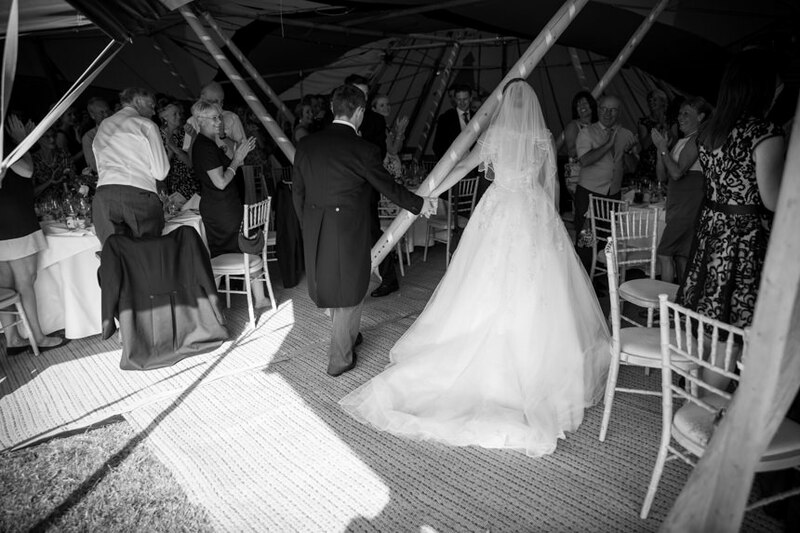 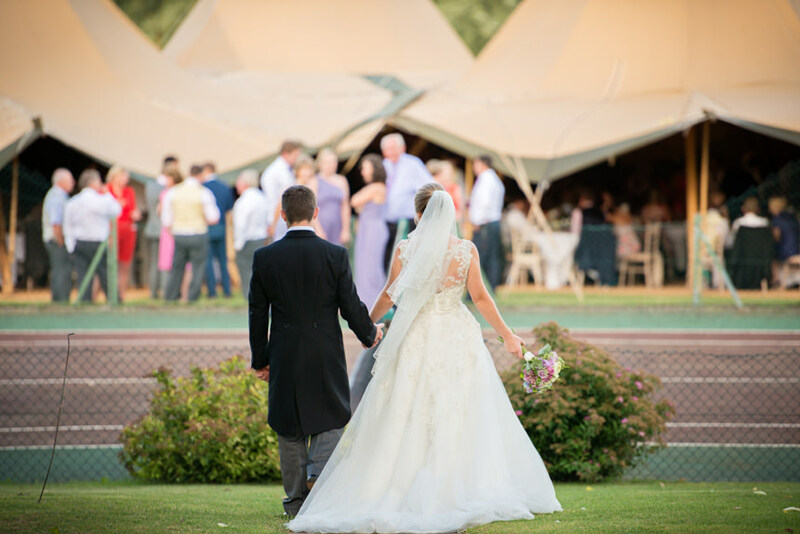 Hannah got ready at Pete’s family home, which was also the venue for the reception, with four grand ‘big hat’ tipis from Events Under Canvas, which were a quirky twist on the traditional marquee. 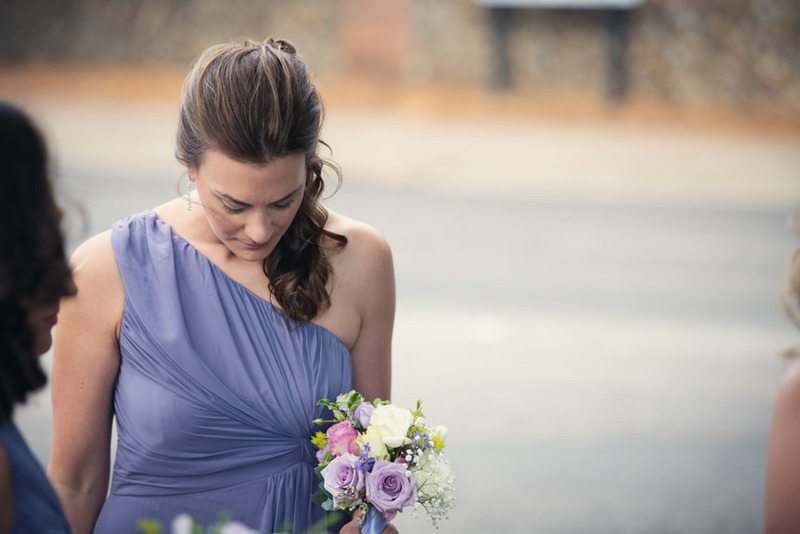 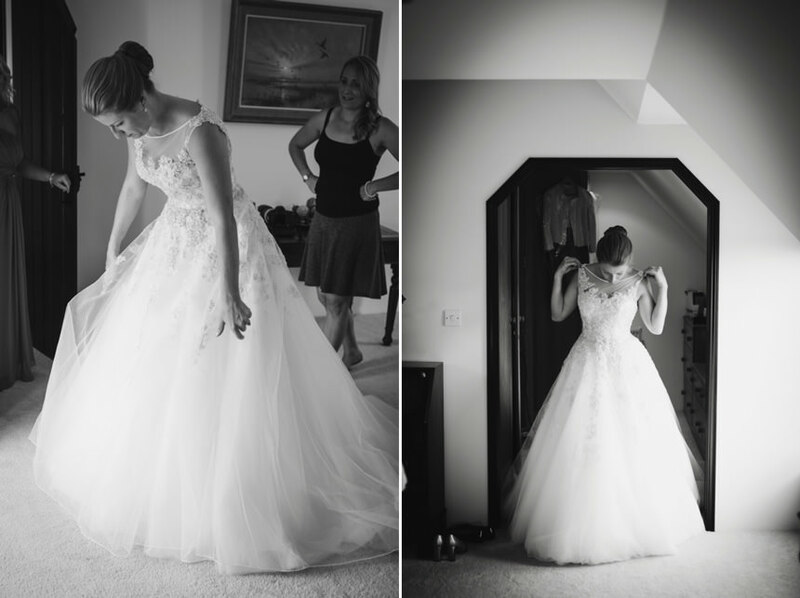 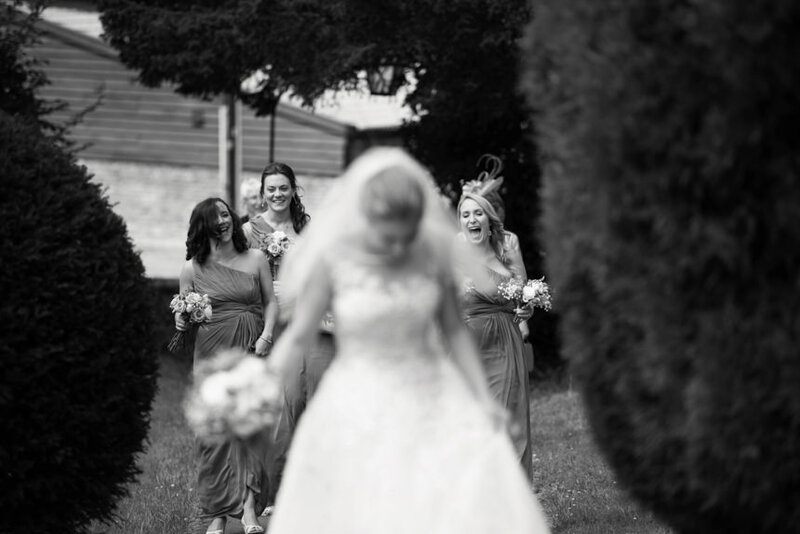 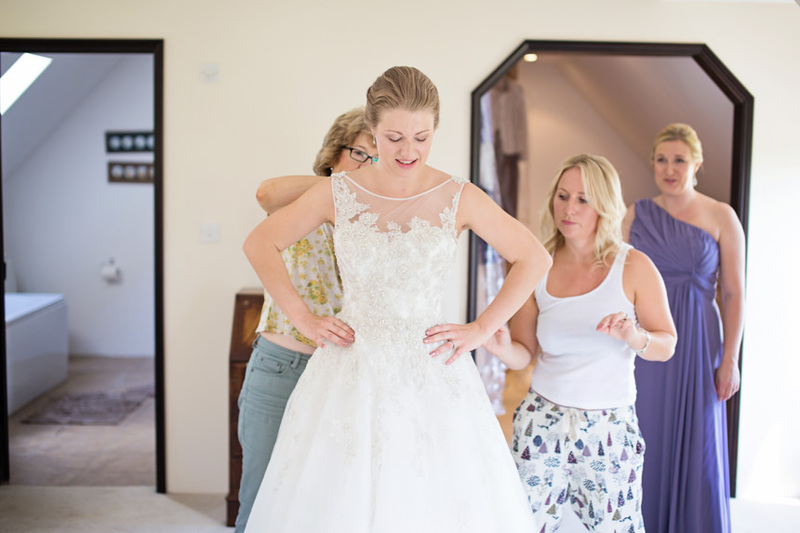 We arrive early to a very relaxed bride surrounded by her best friends and bridesmaids as well as her sister and mother. 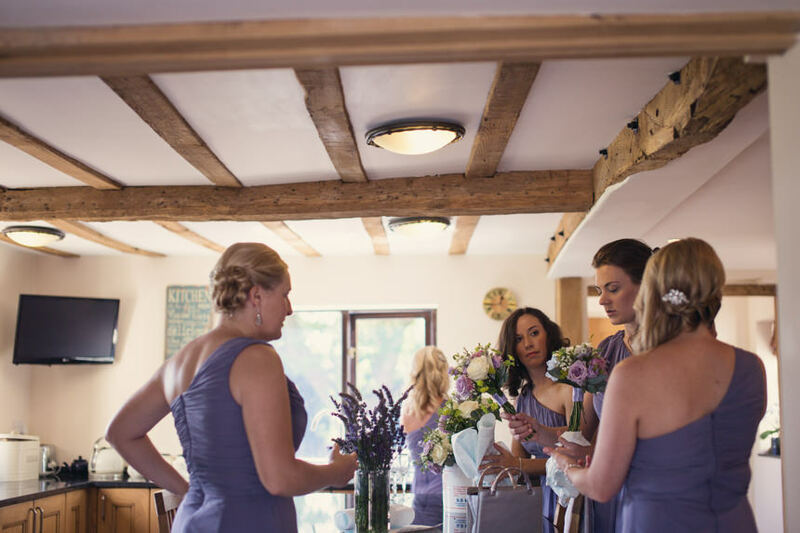 Using Pete’s mum’s beautiful large bedroom, complete with en-suite and walk in wardrobe, the girls prepared for day ahead in an excited hurry. 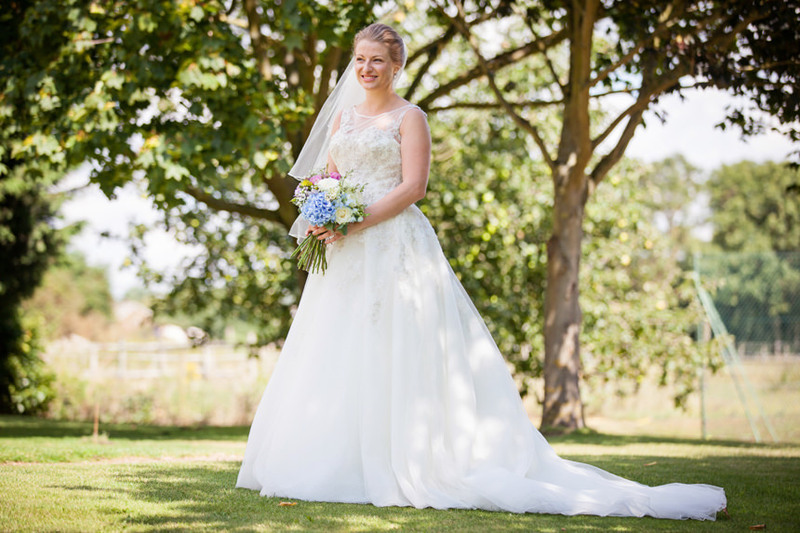 After helping Hannah into her dress and her shoes, complete with lucky sixpence, there was just enough time to get some photos of Hannah out in the garden before heading off to the church. 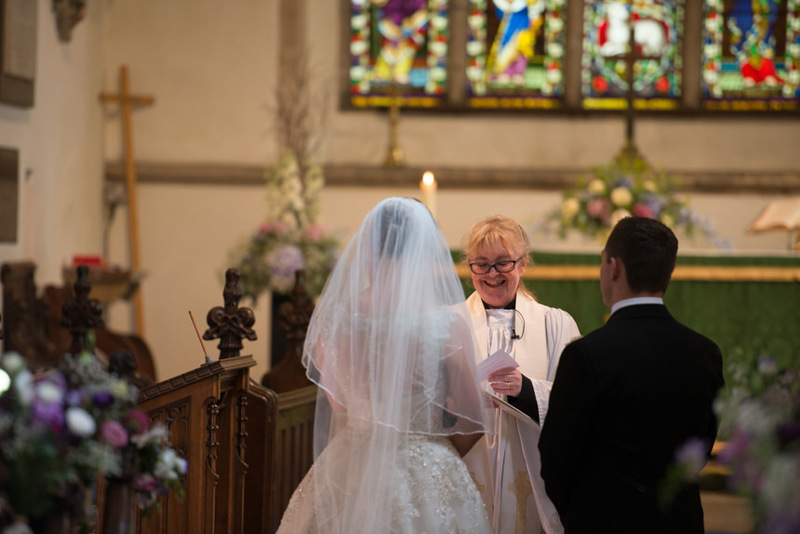 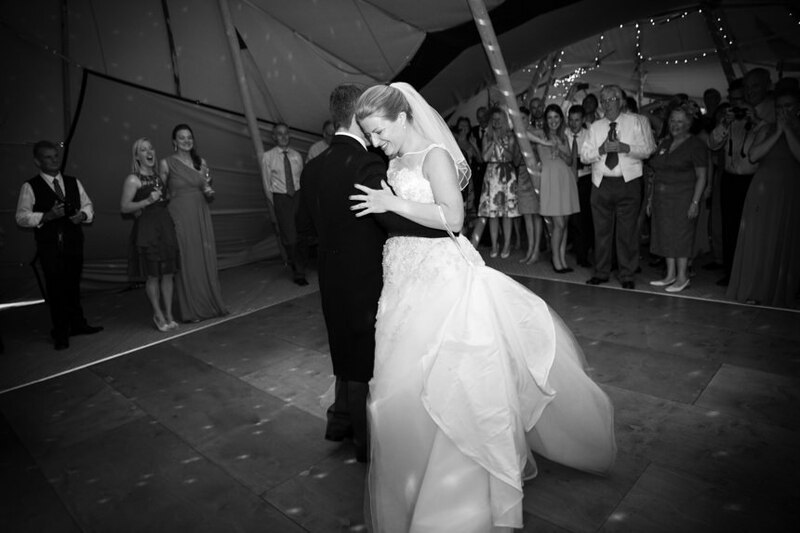 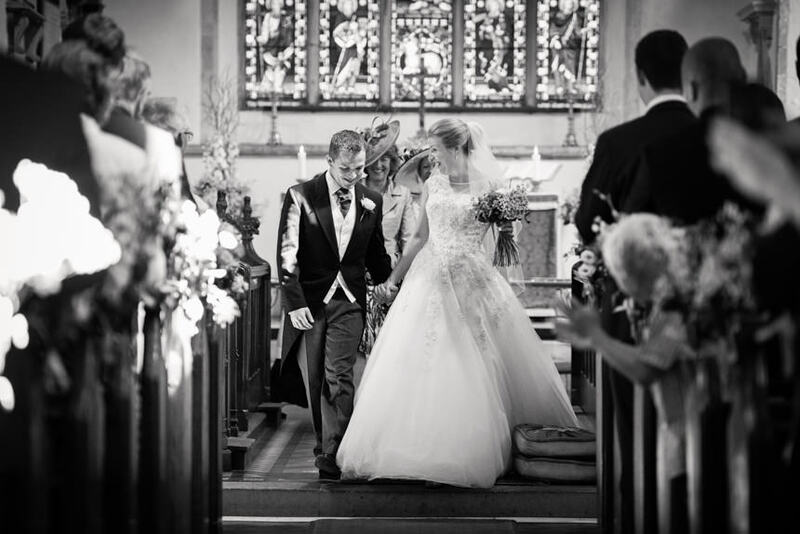 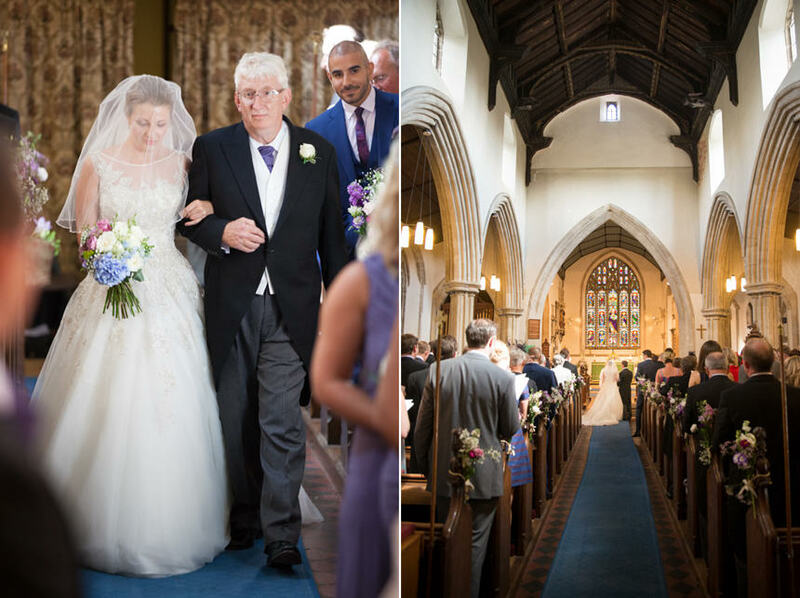 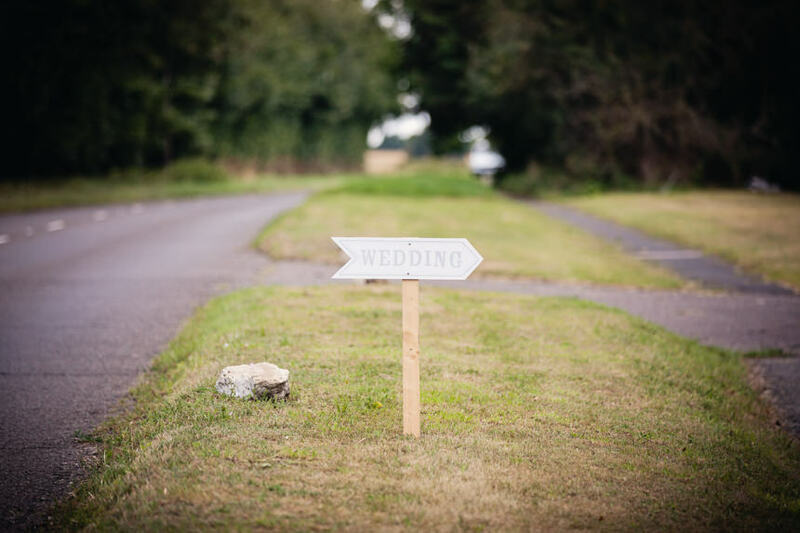 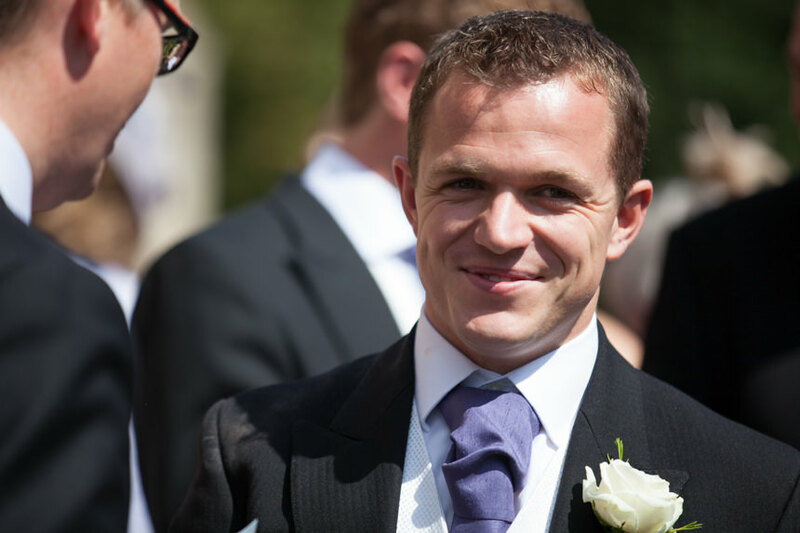 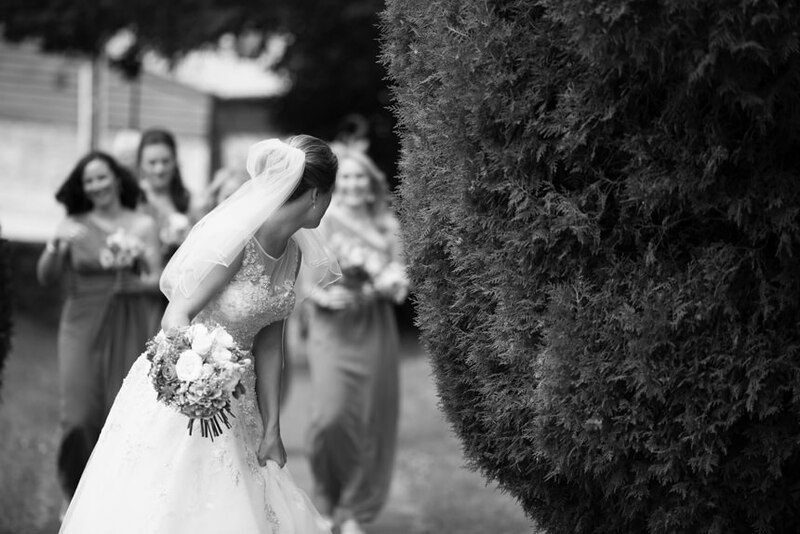 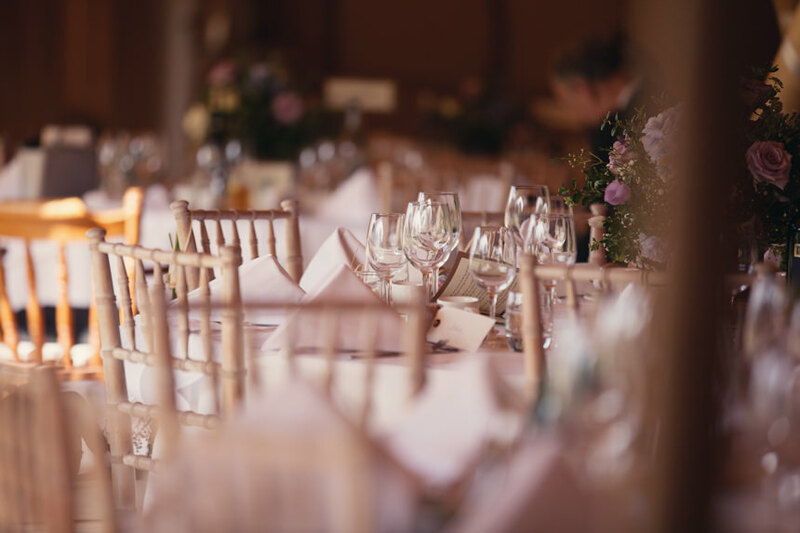 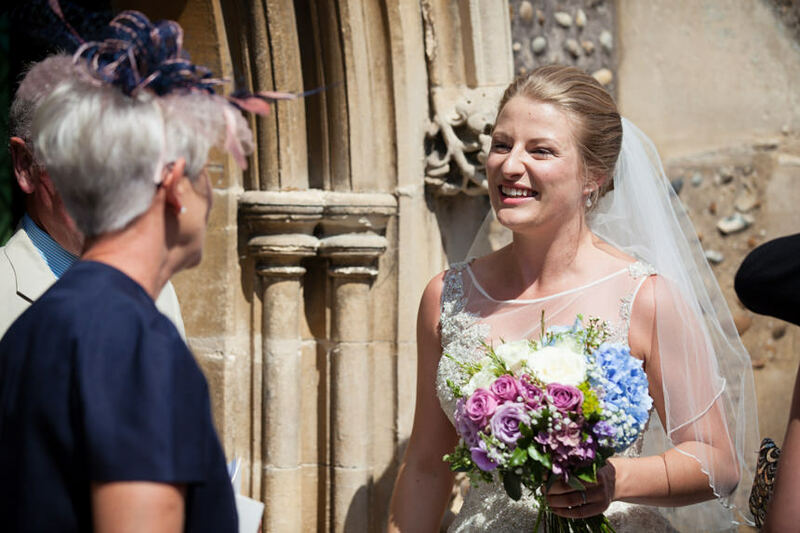 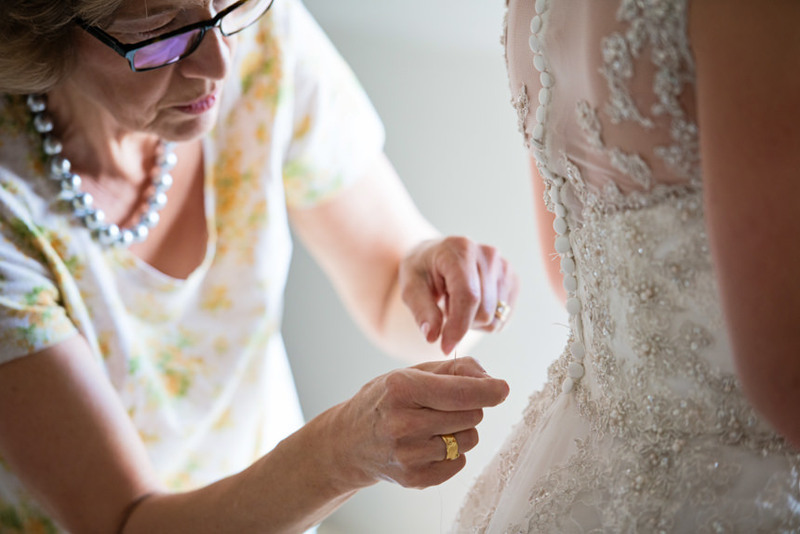 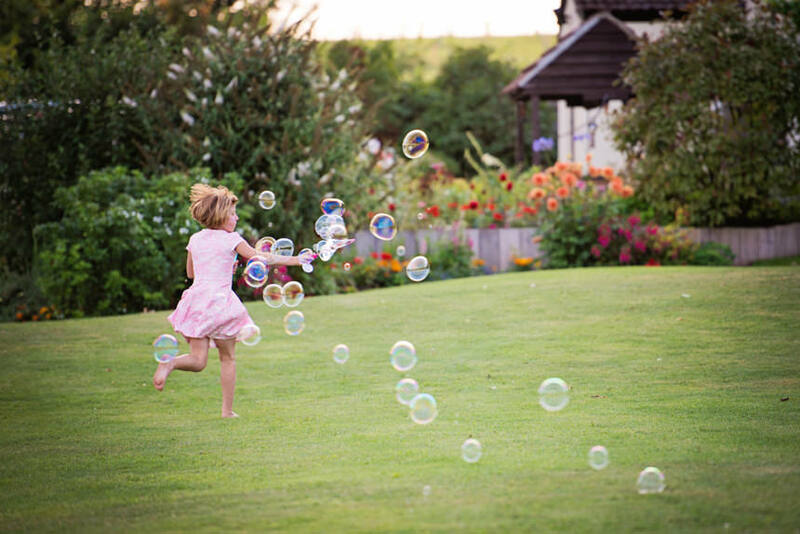 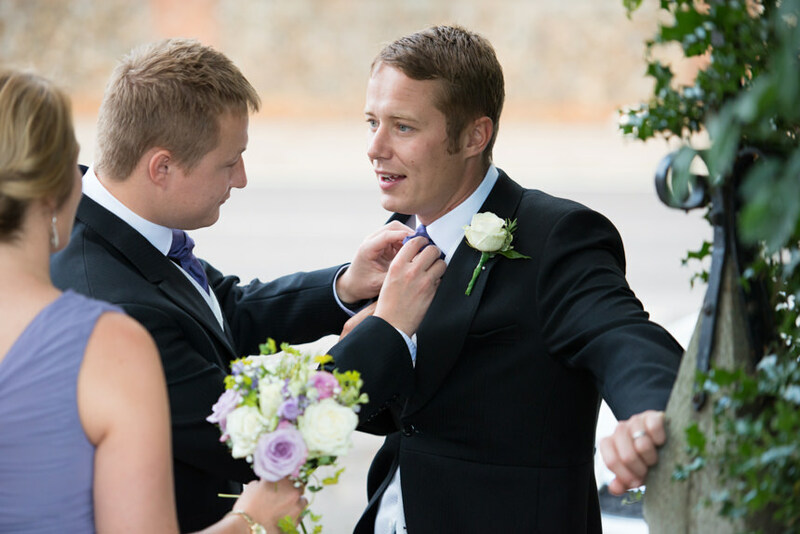 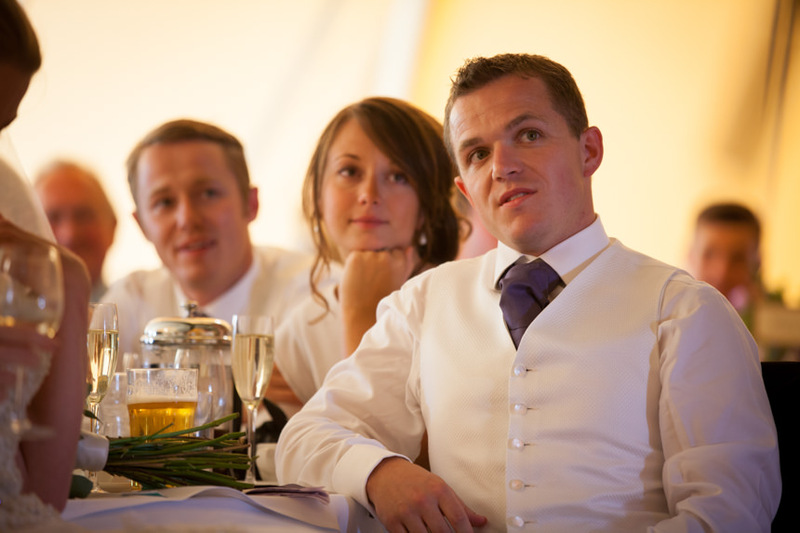 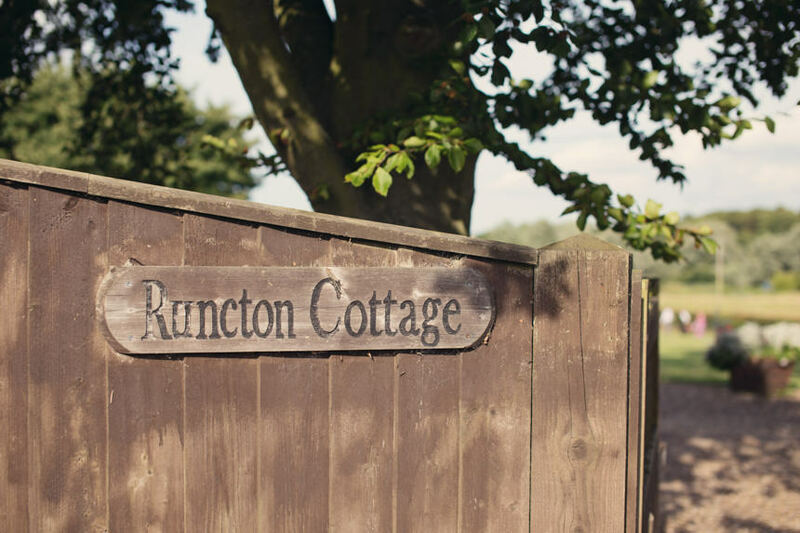 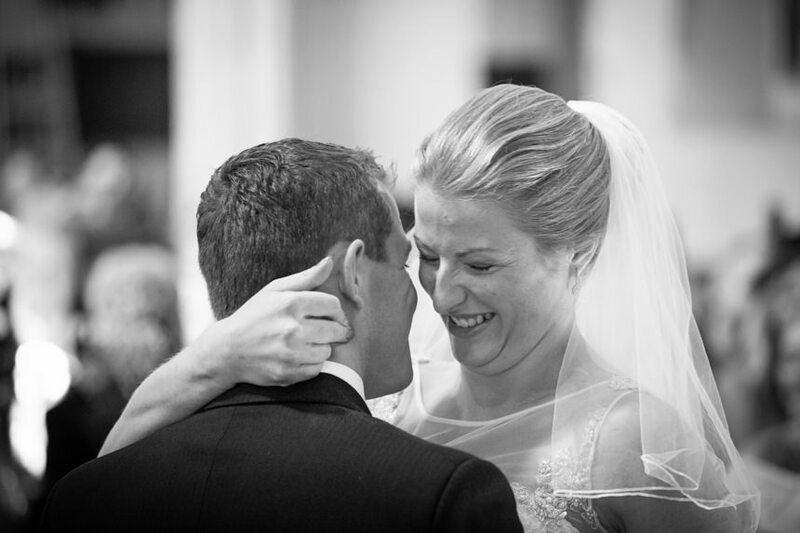 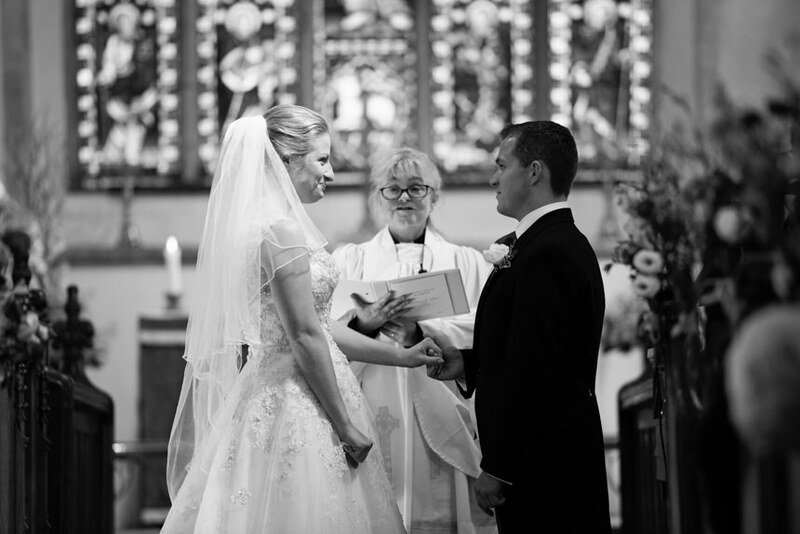 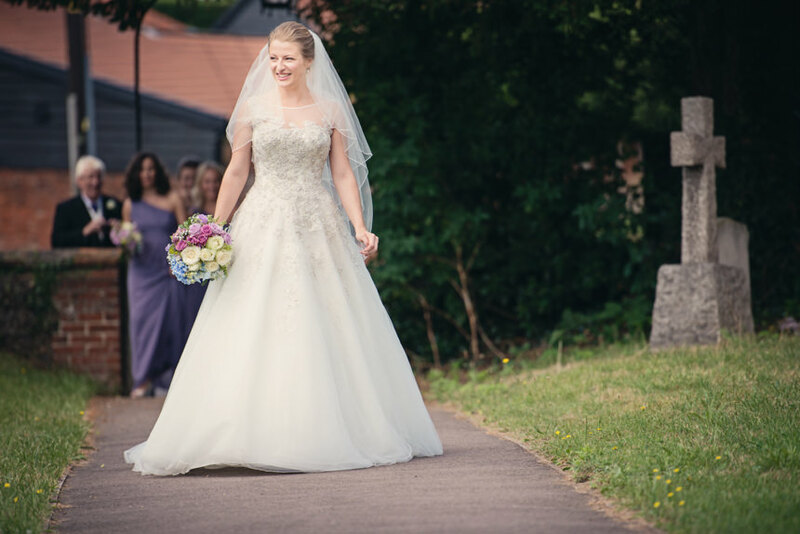 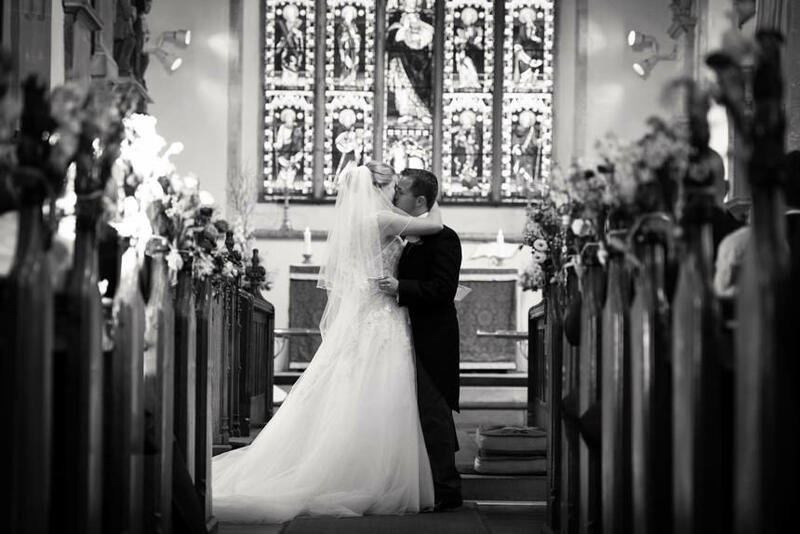 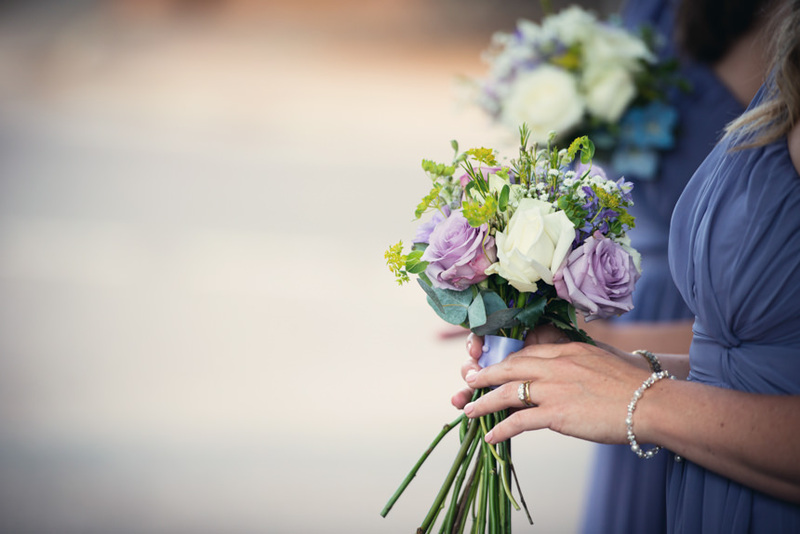 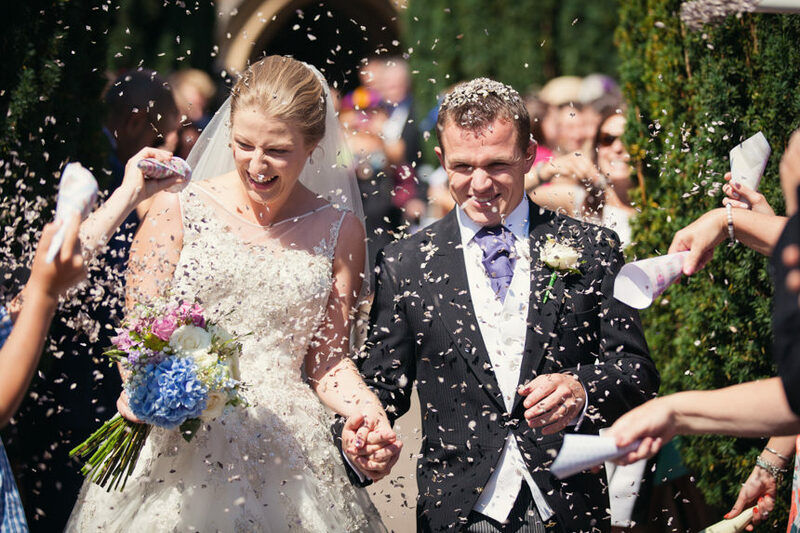 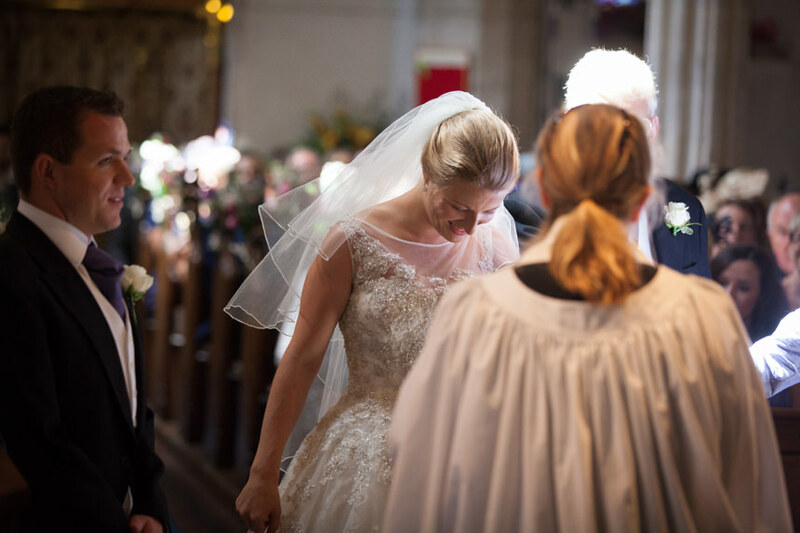 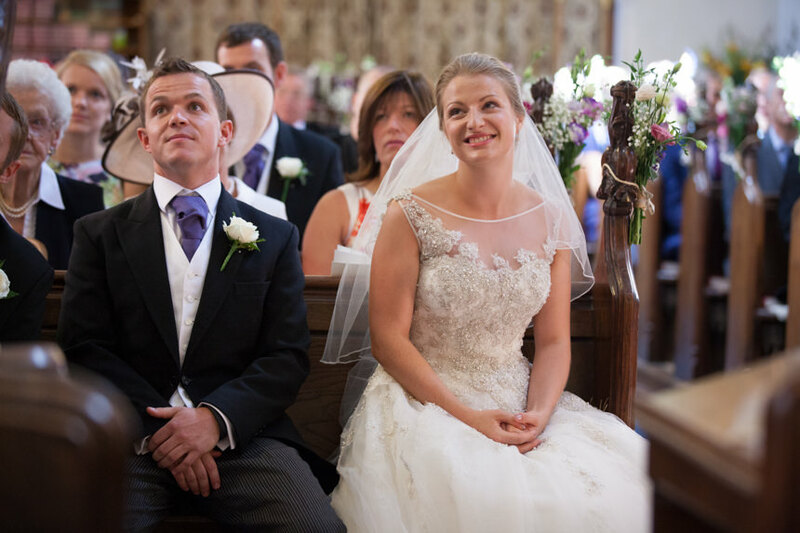 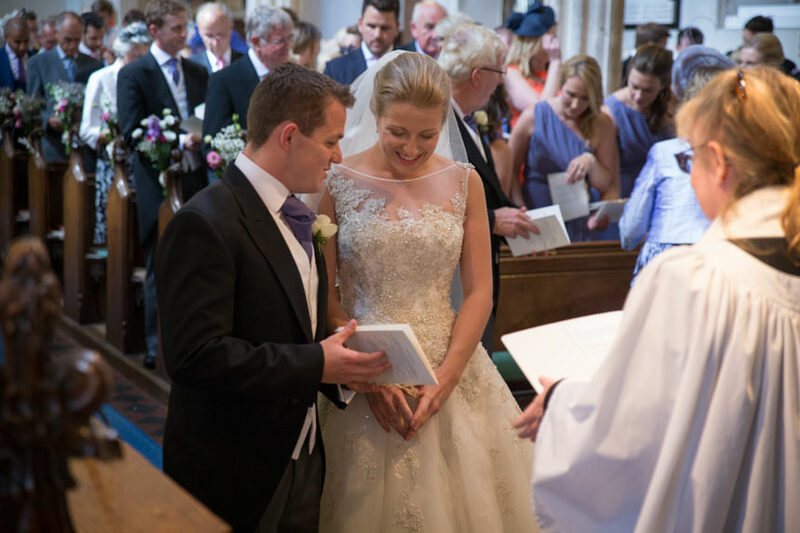 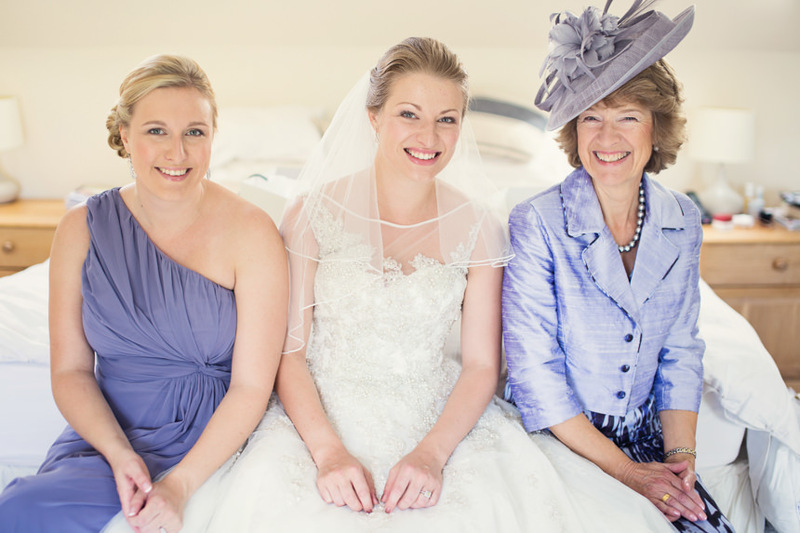 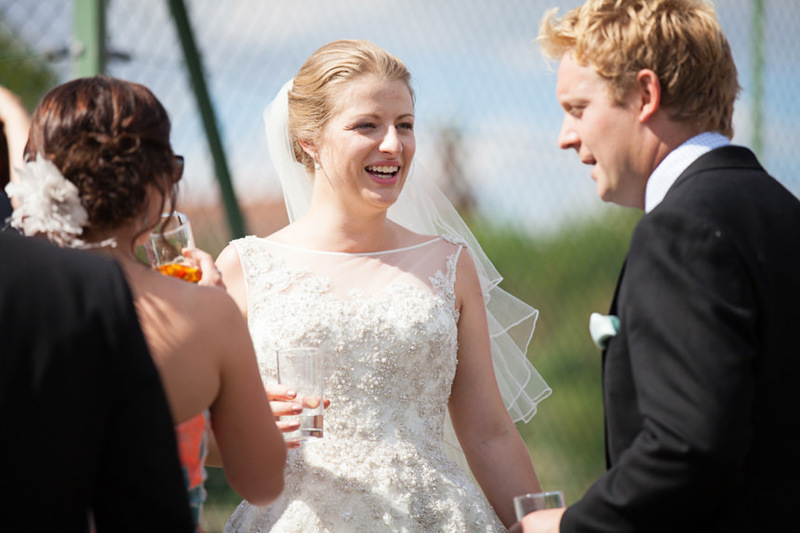 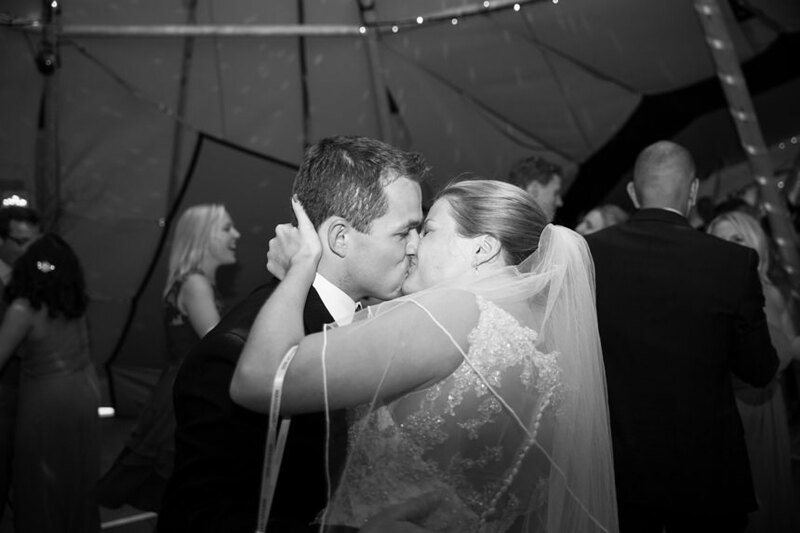 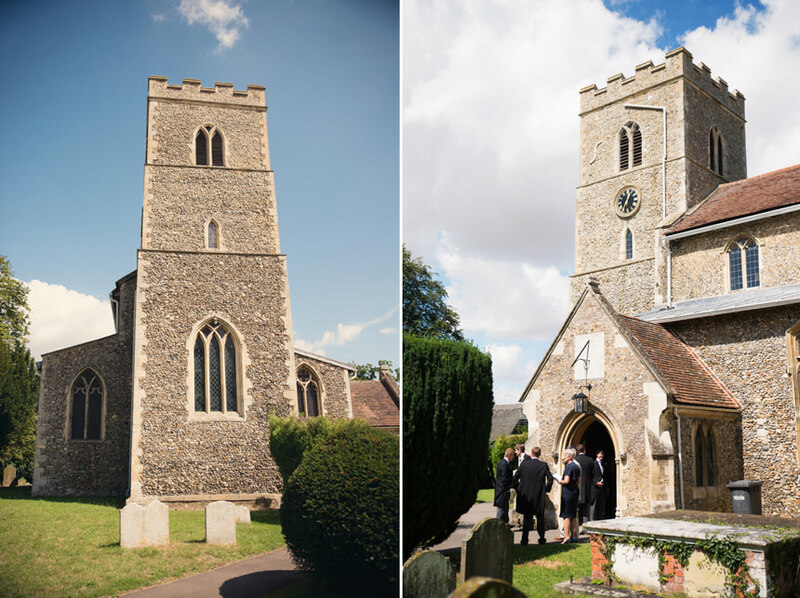 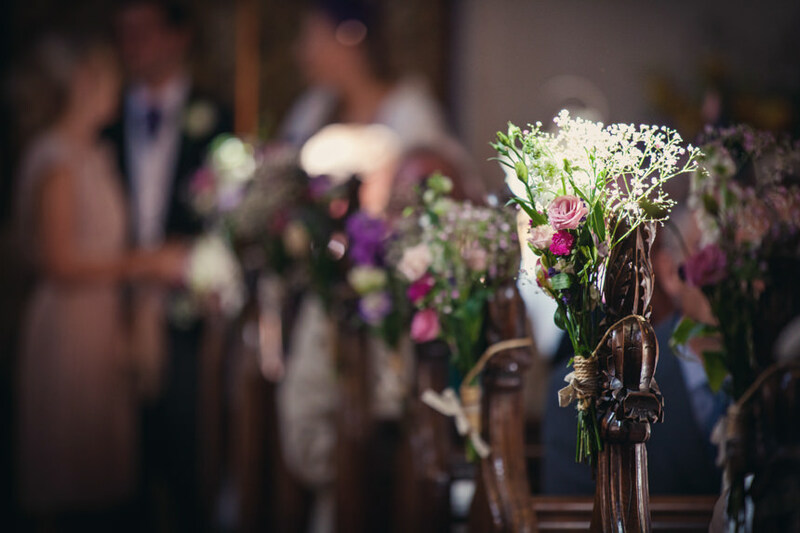 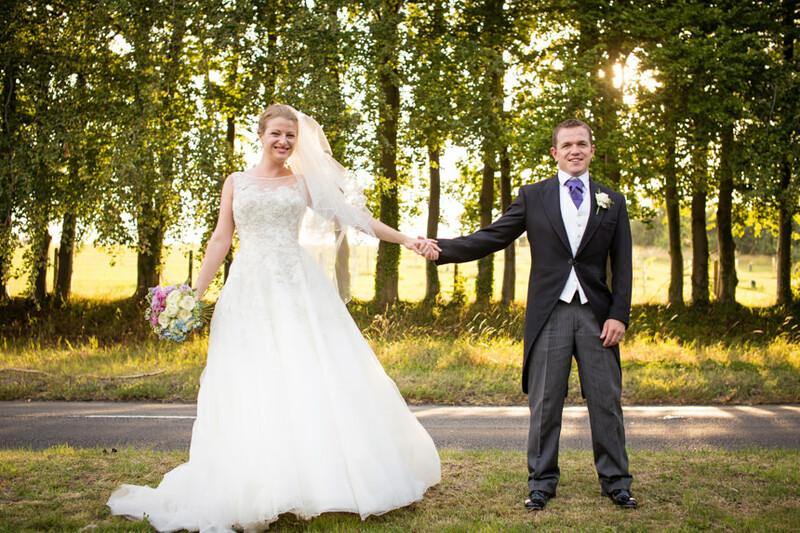 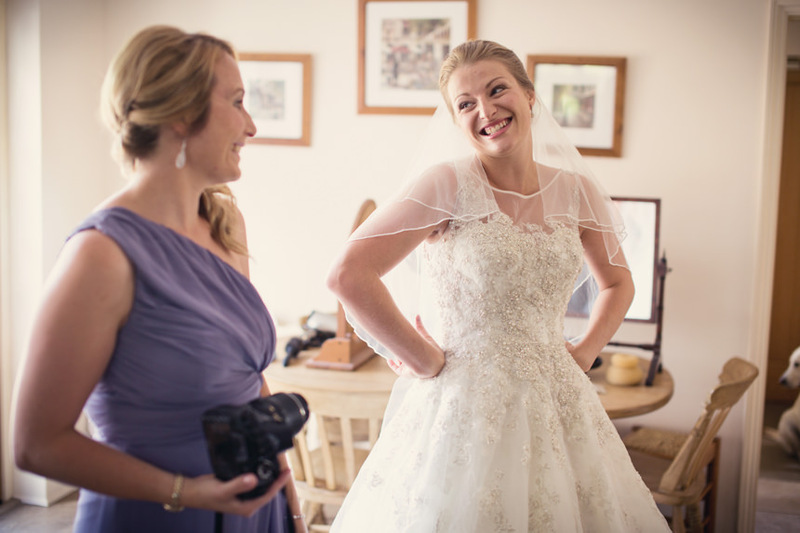 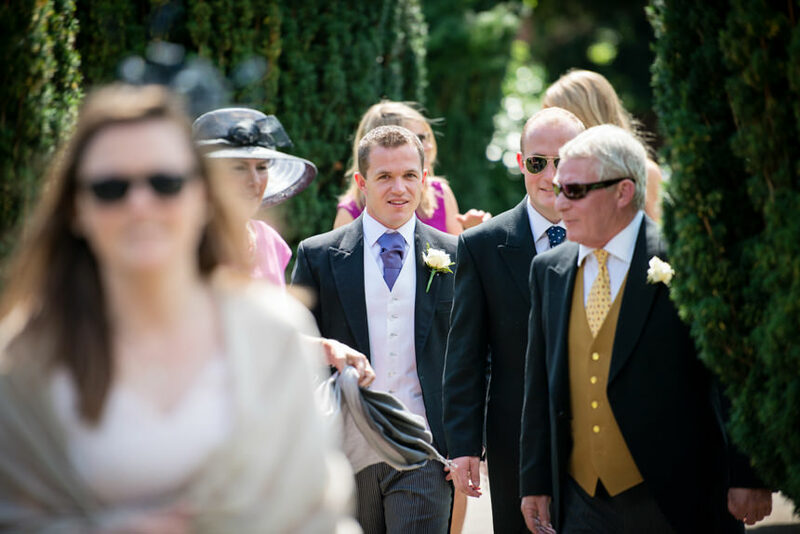 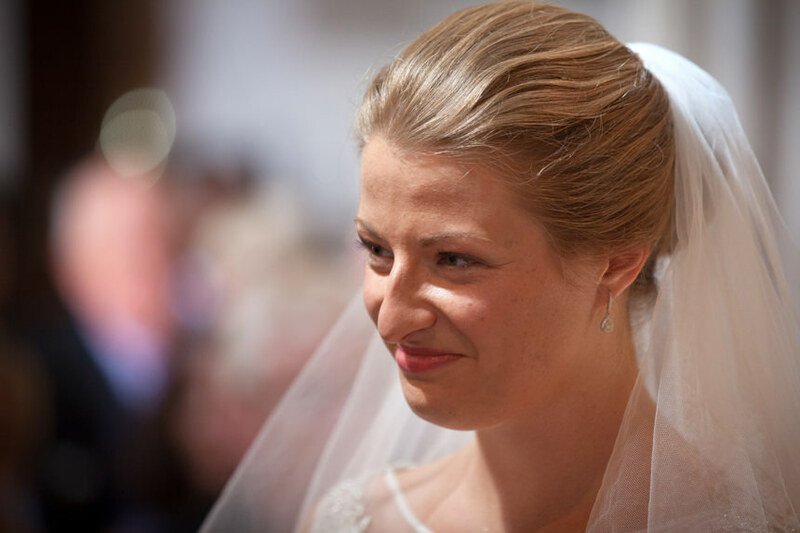 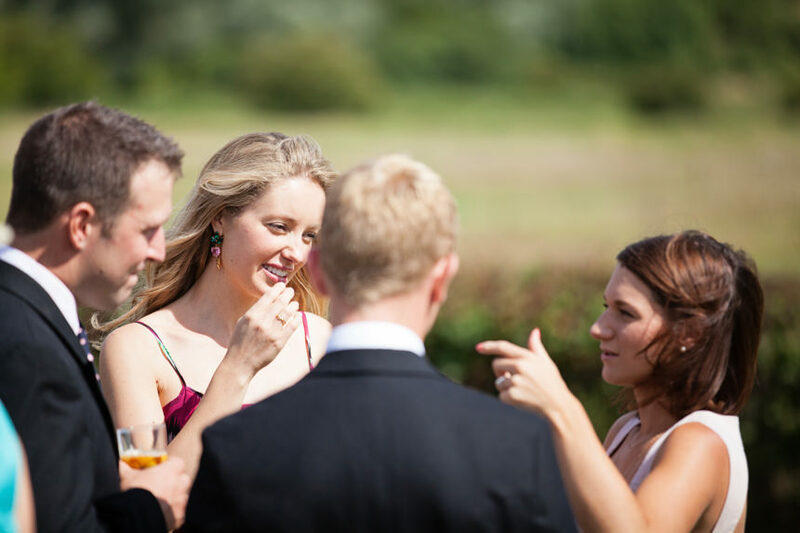 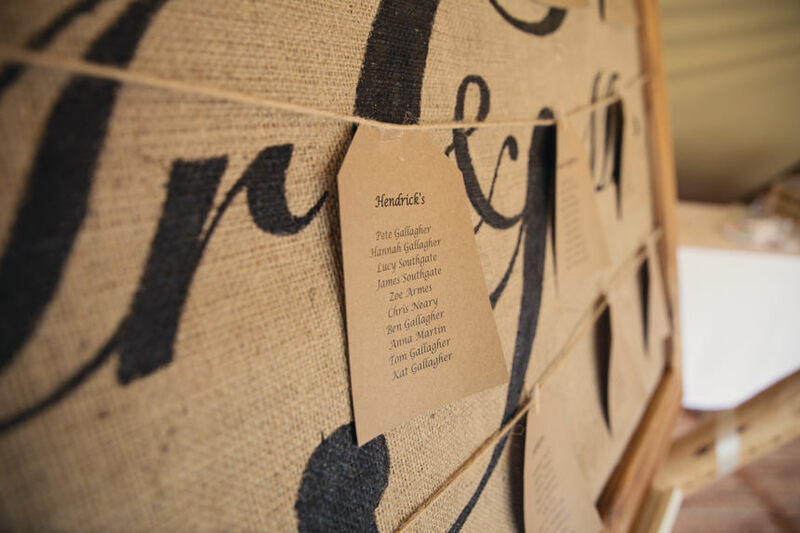 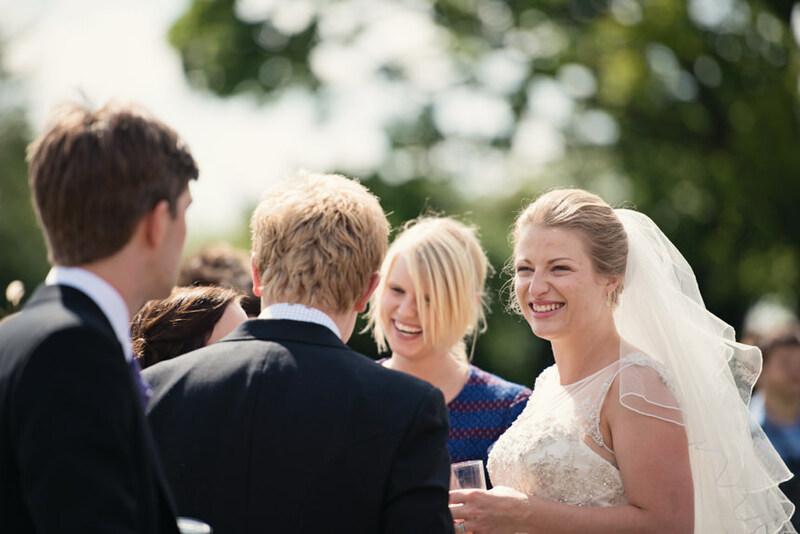 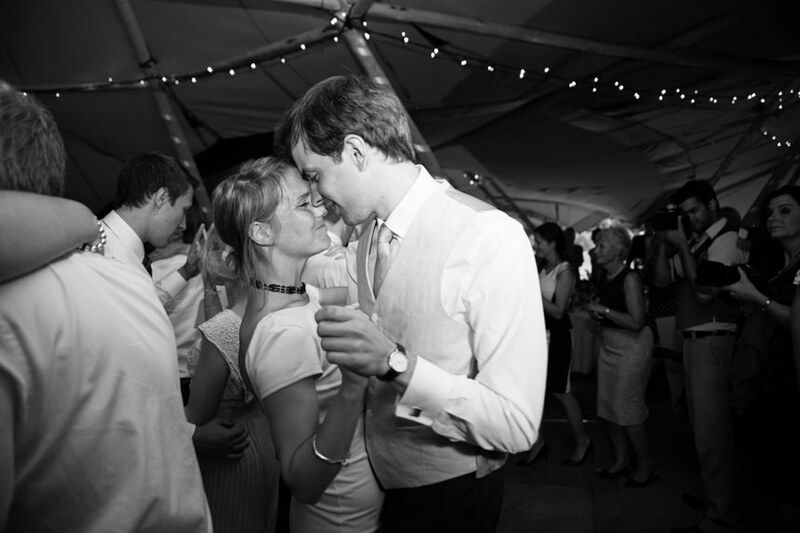 The wedding took place at the local church to Pete’s family home in Sproughton, Suffolk. 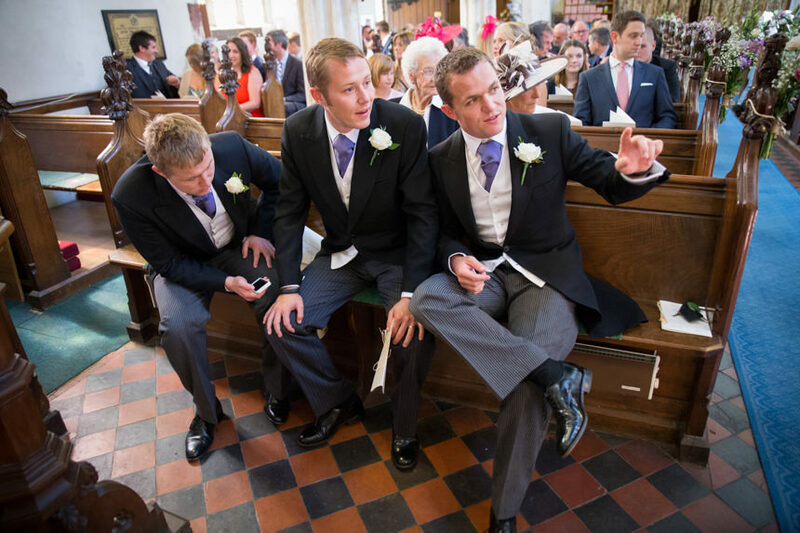 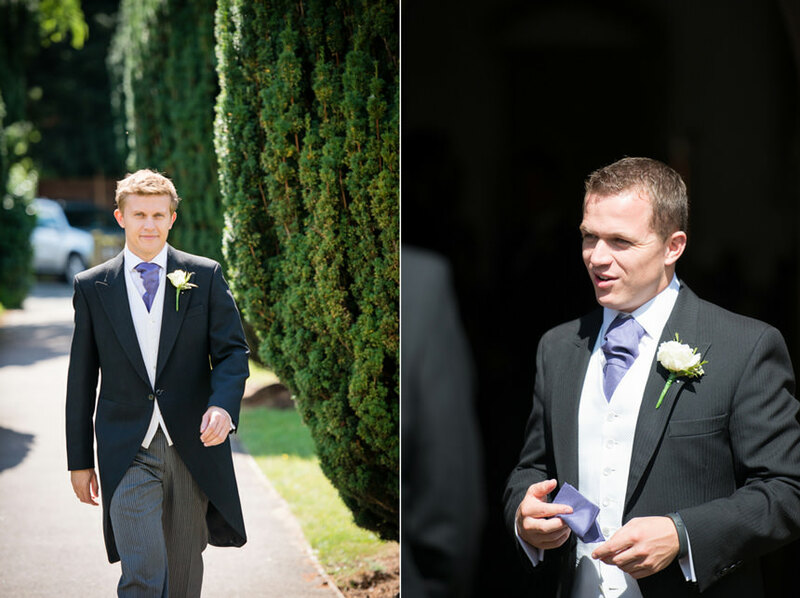 Pete had his two brothers as his best men and Charlie, my trusty second shooter and good friend had already gone ahead of me to capture some of the build up, with excited guests arriving and a slightly nervous looking groom. 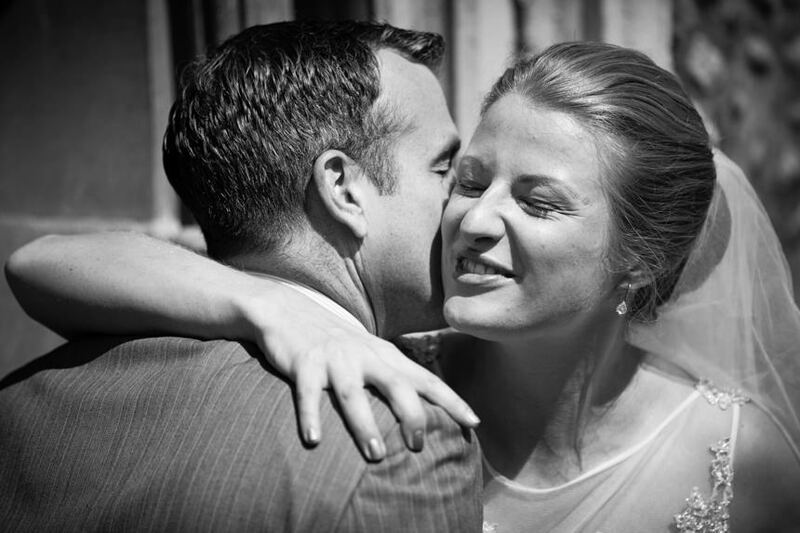 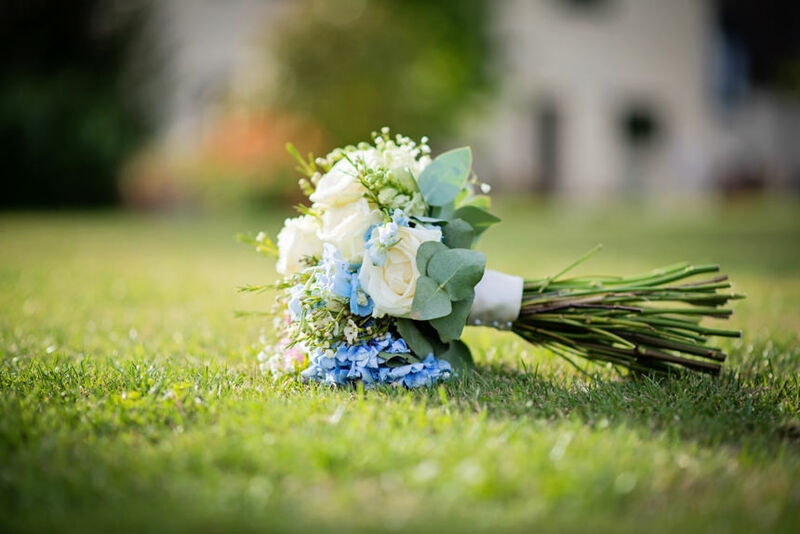 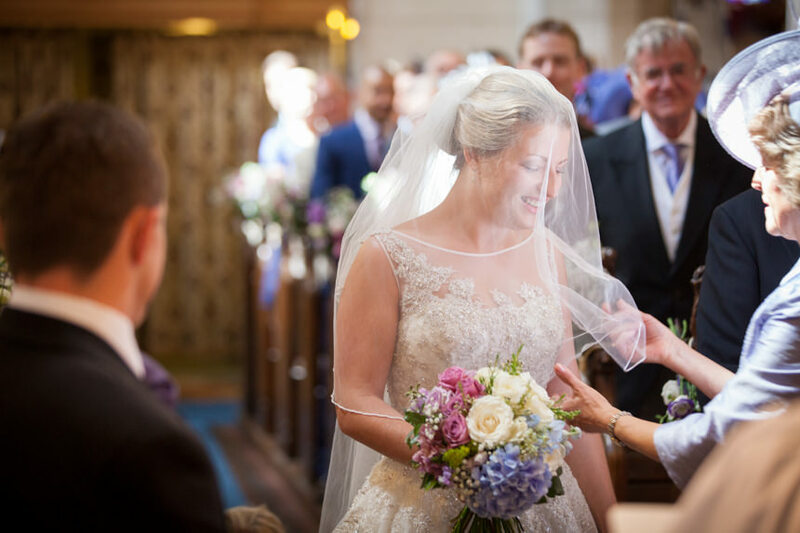 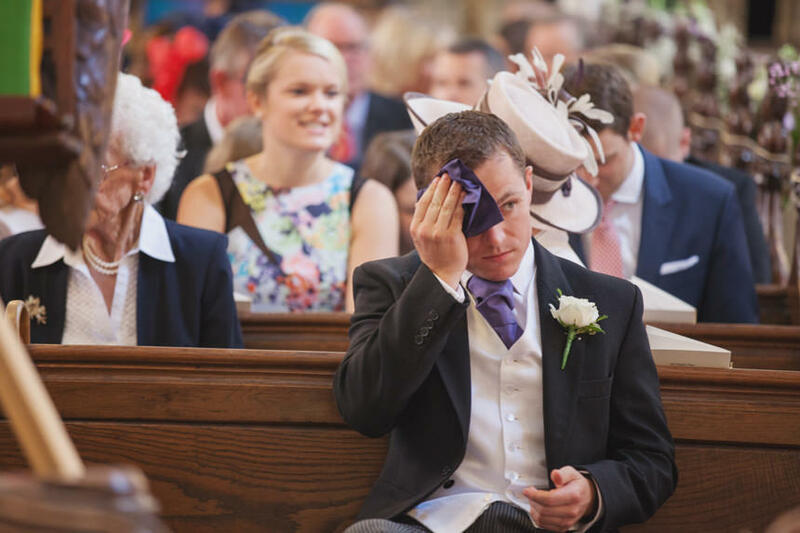 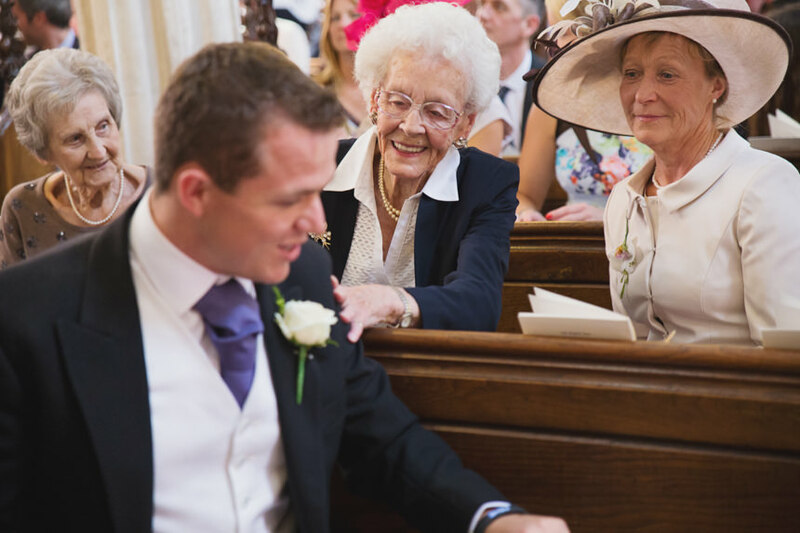 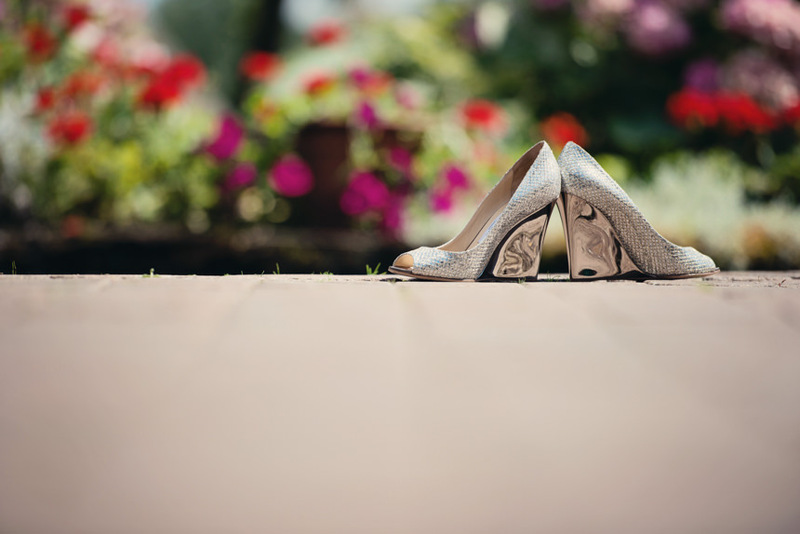 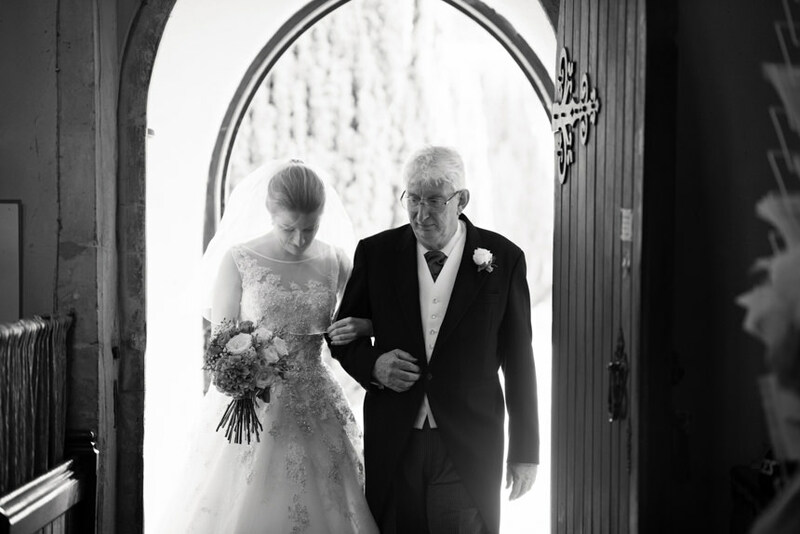 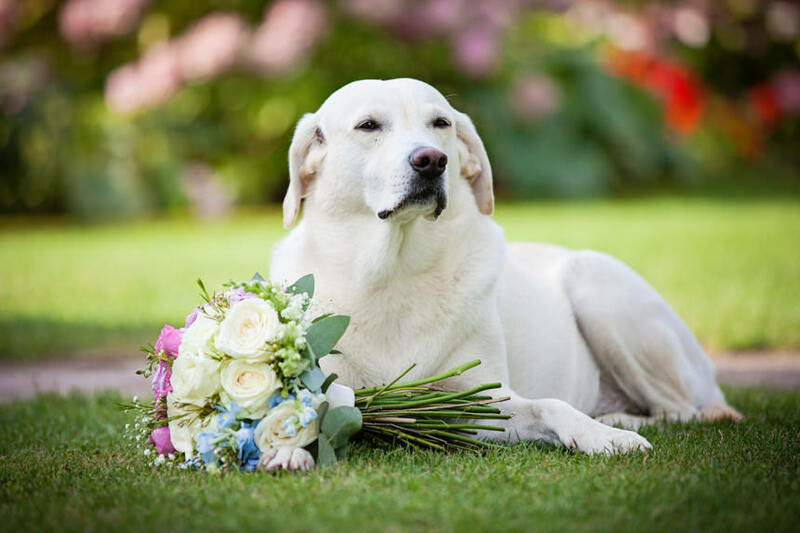 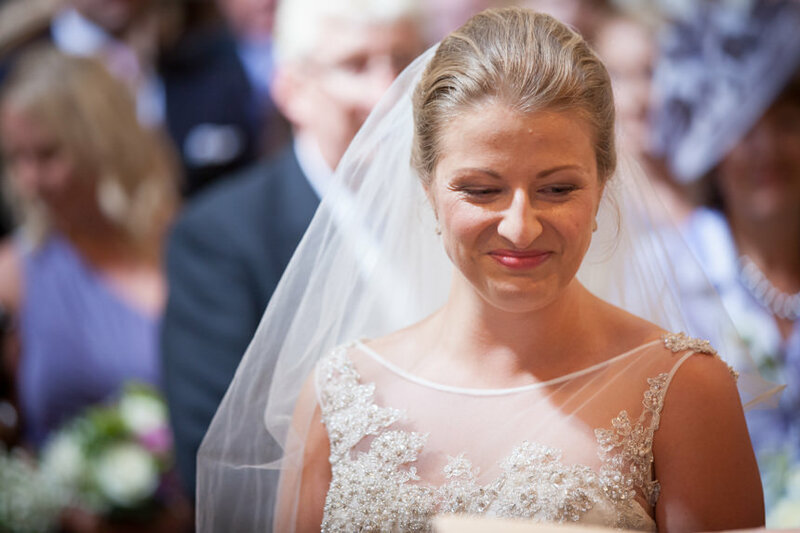 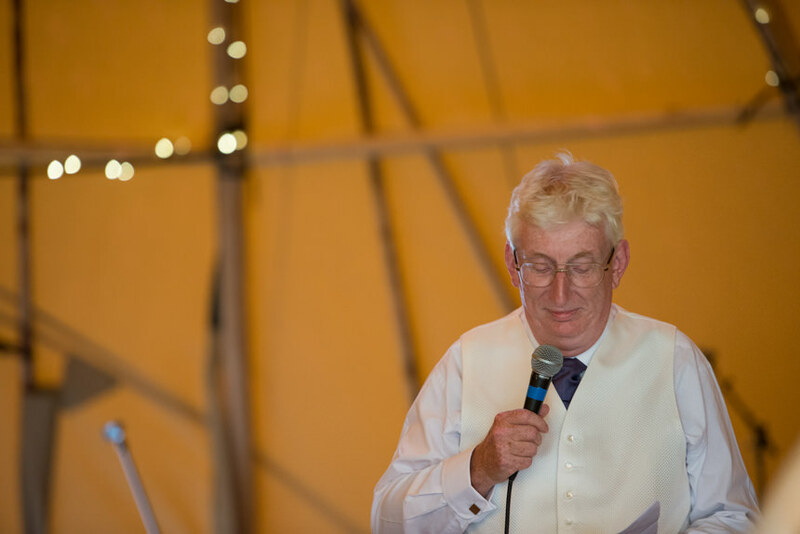 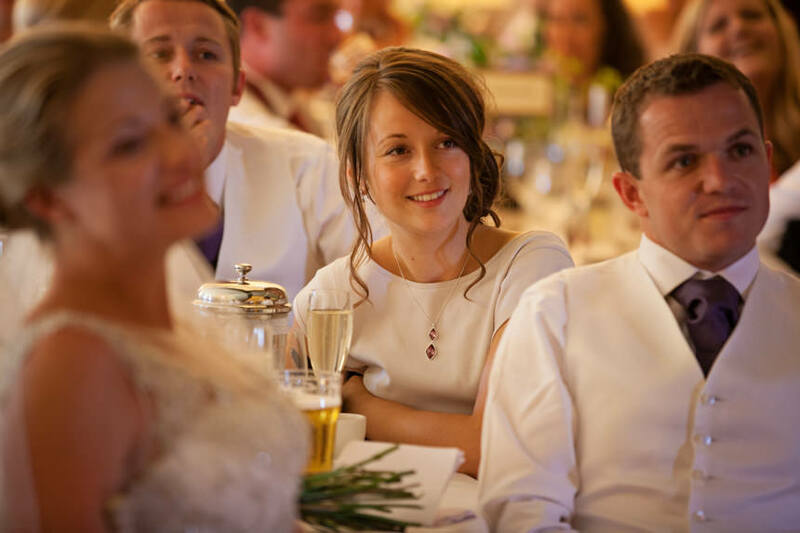 Pete’s nerves soon dissipated though when her saw his beautiful bride coming down the aisle and the ceremony was touching and heartfelt, with some poignant readings from the couple’s family and friends. 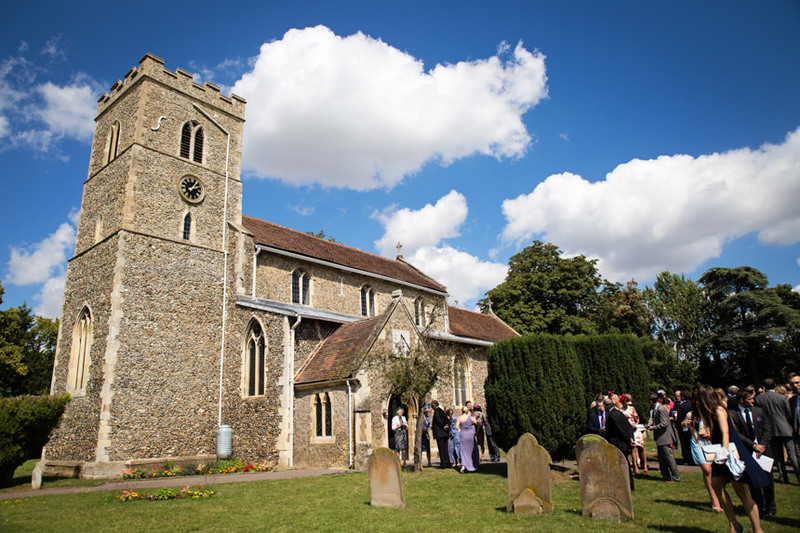 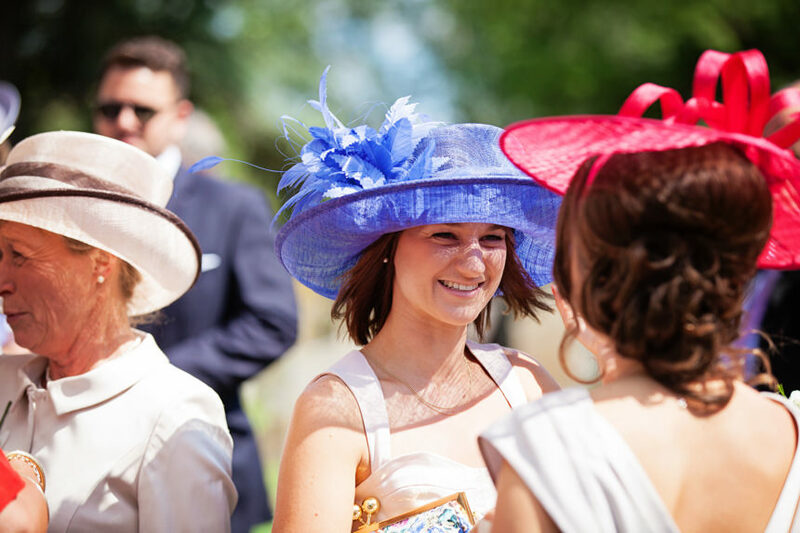 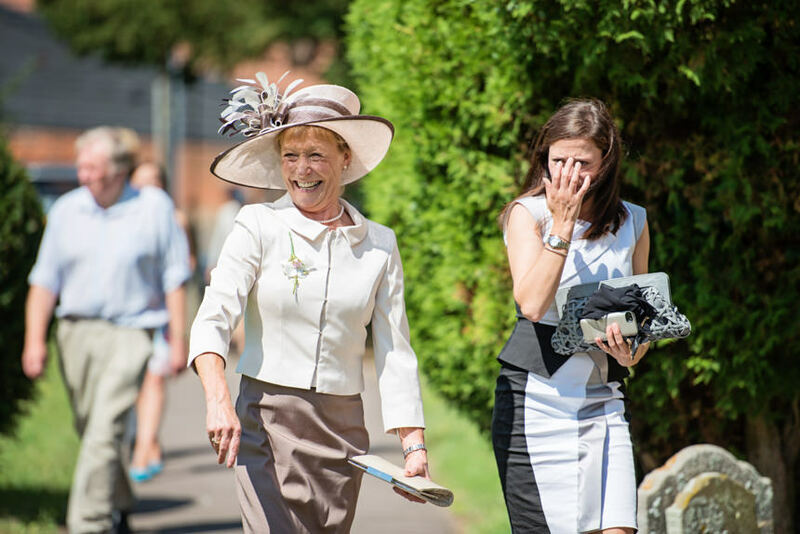 After the service the congregation were greeted by brilliant sunshine as they made their way along the short journey to the reception. 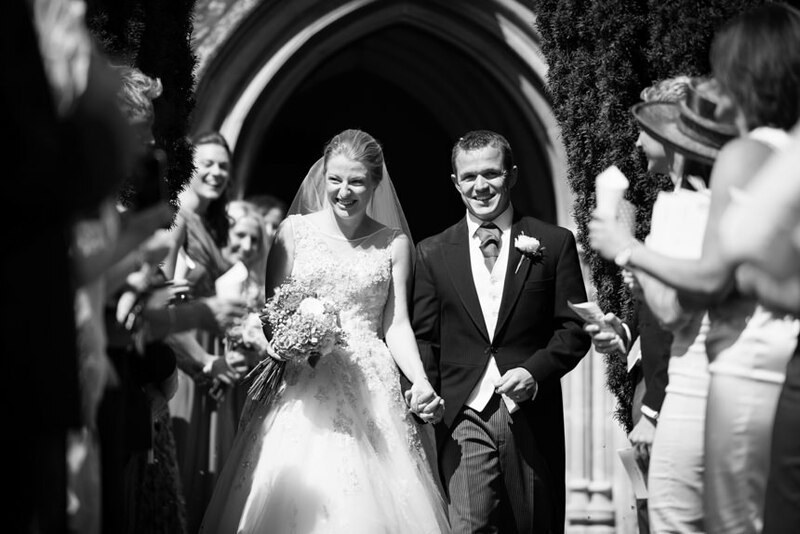 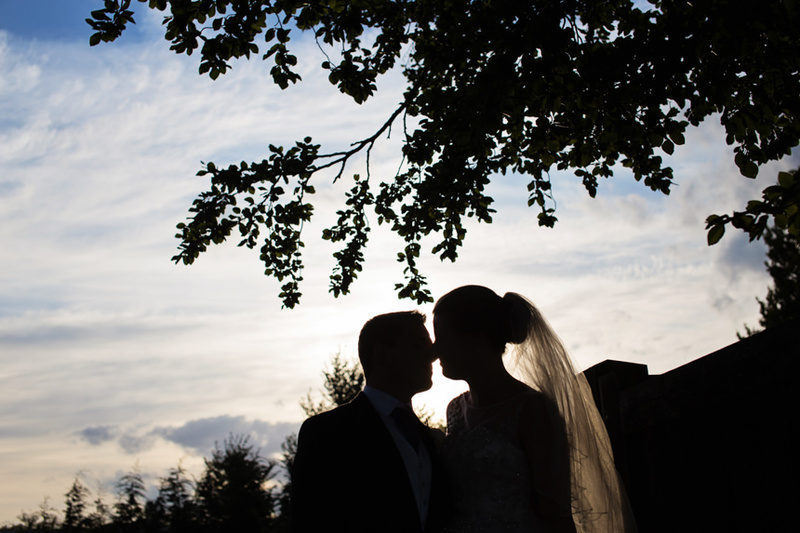 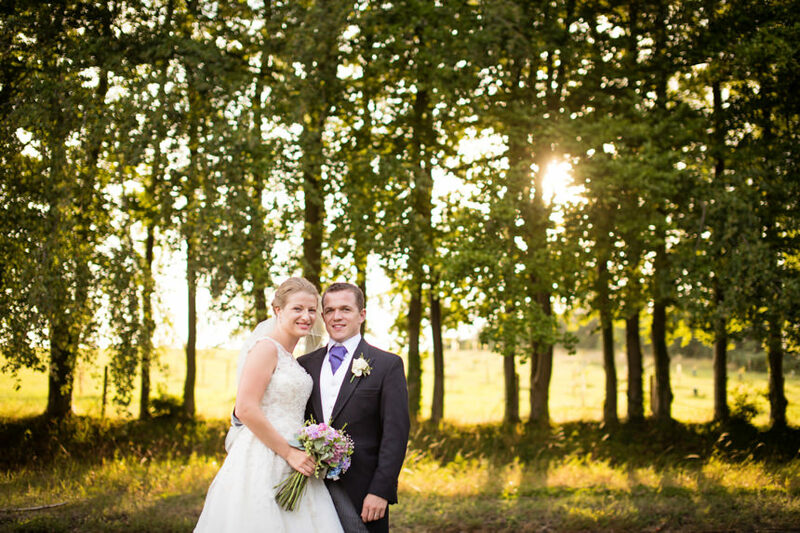 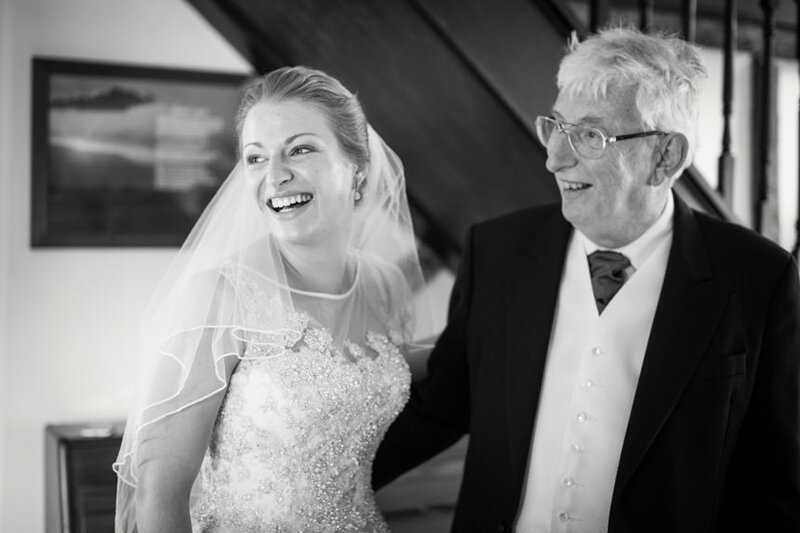 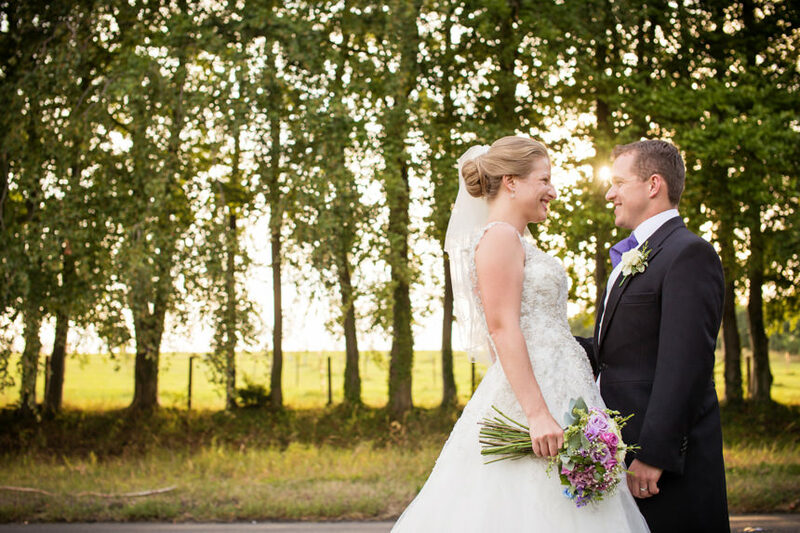 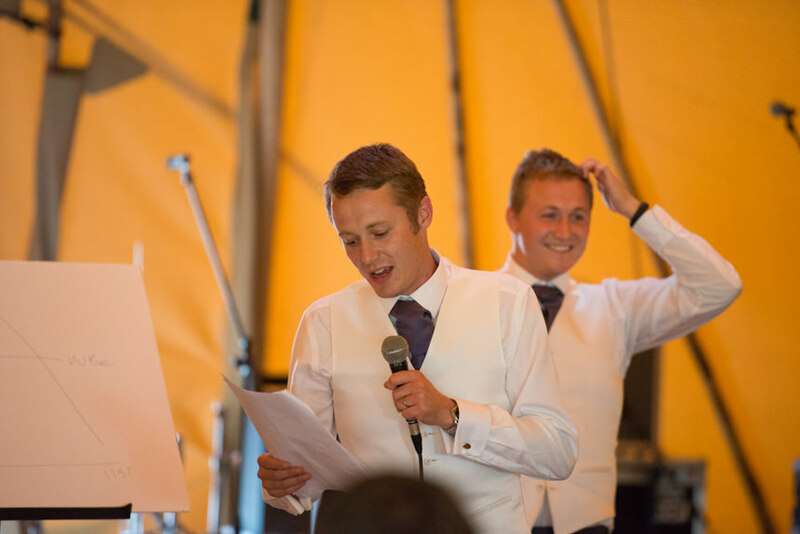 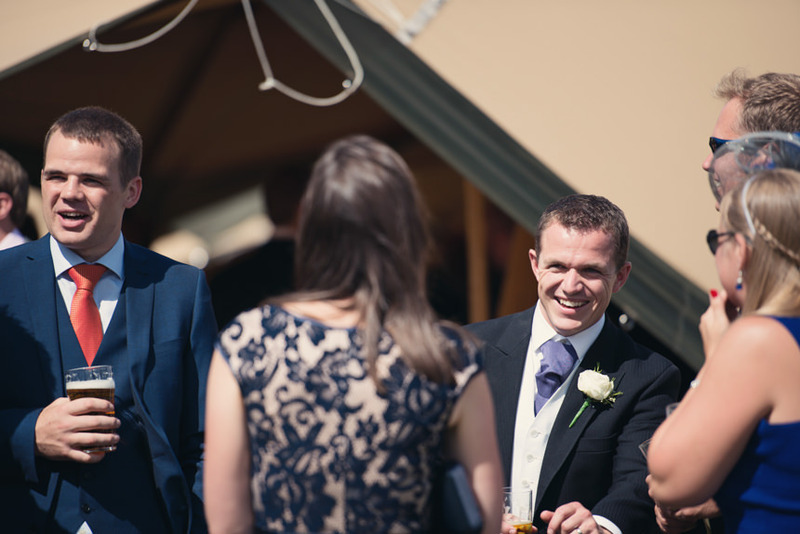 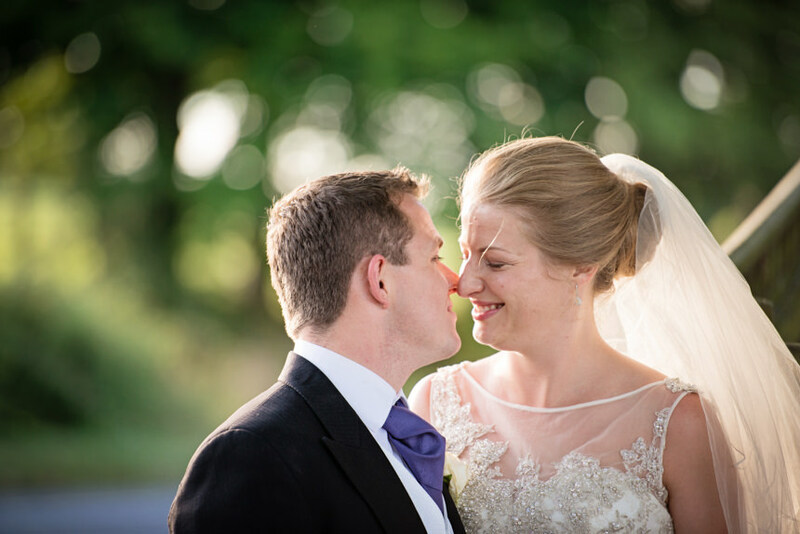 Hannah and Pete were blessed with glorious sunshine all day long and the day went off without a hitch (Pete may consider some of the stories his brother’s told in the speeches to a be a hitch but everyone else found them hilarious!). 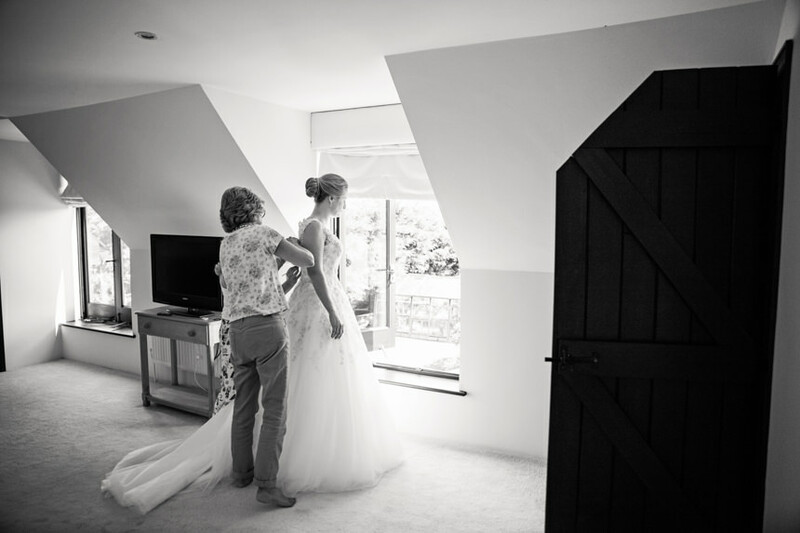 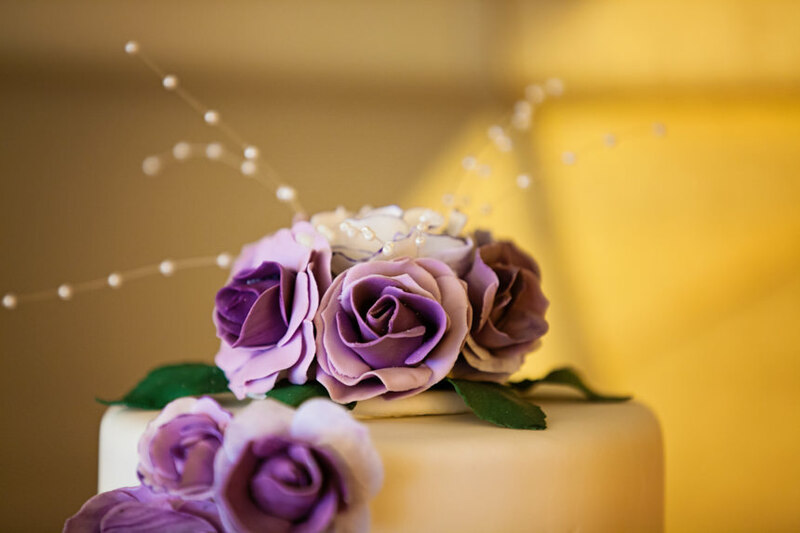 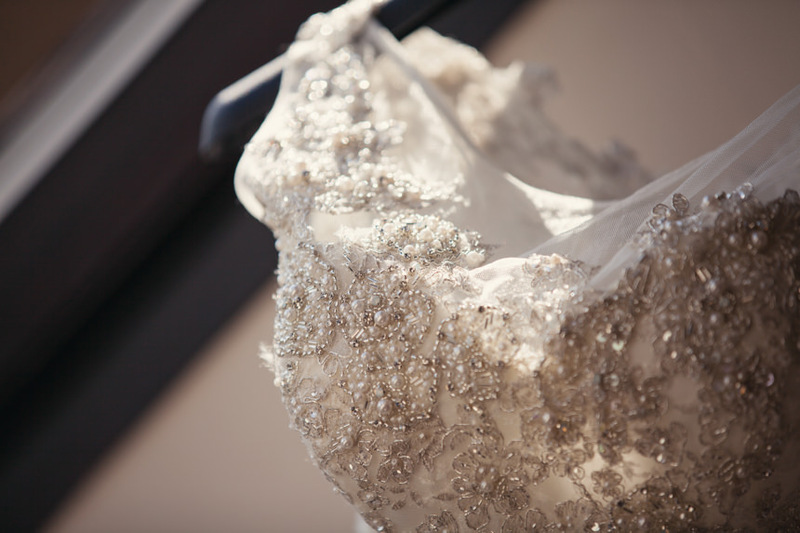 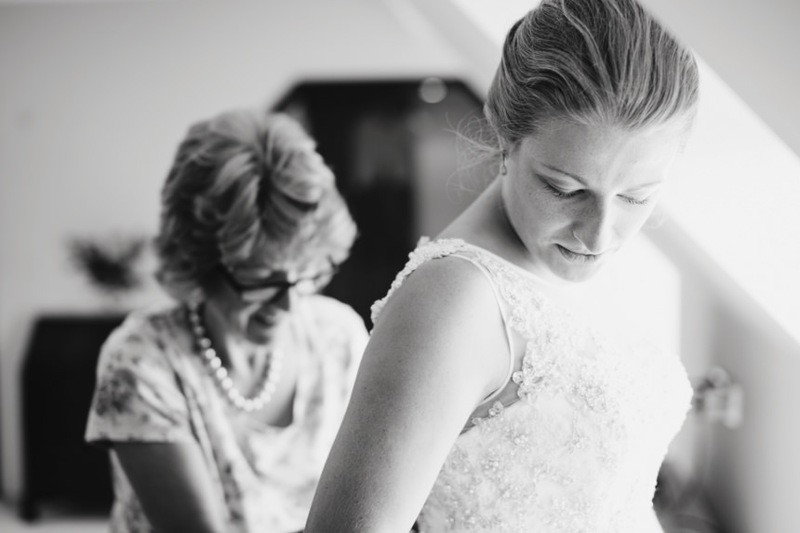 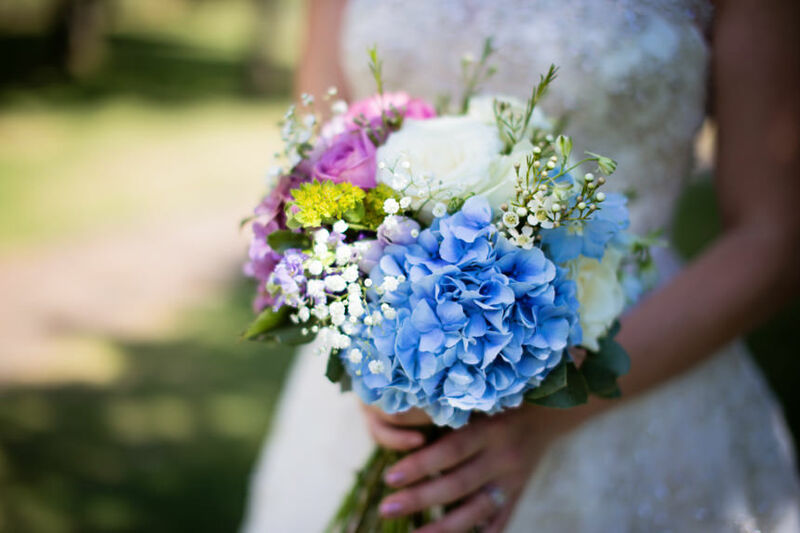 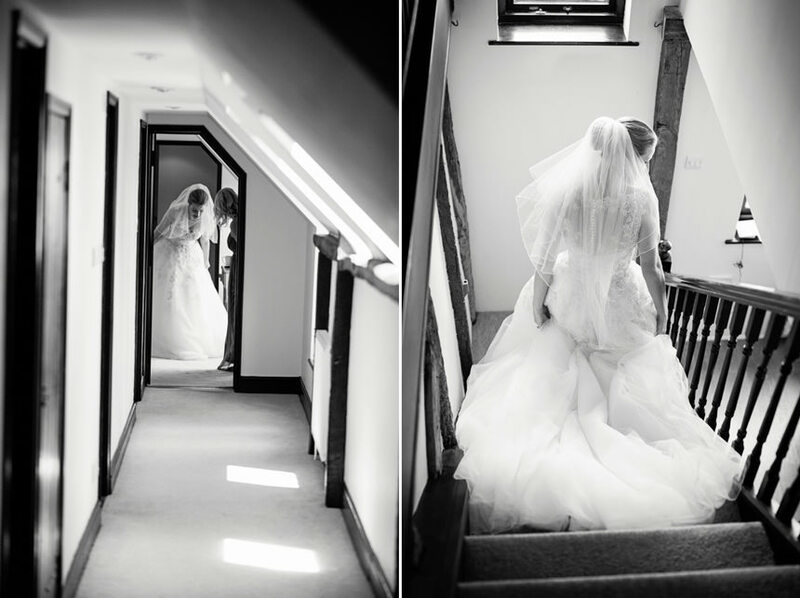 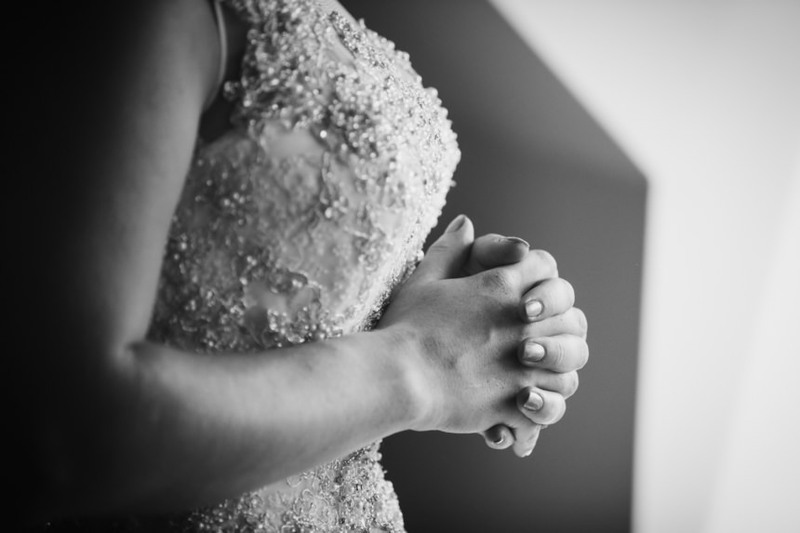 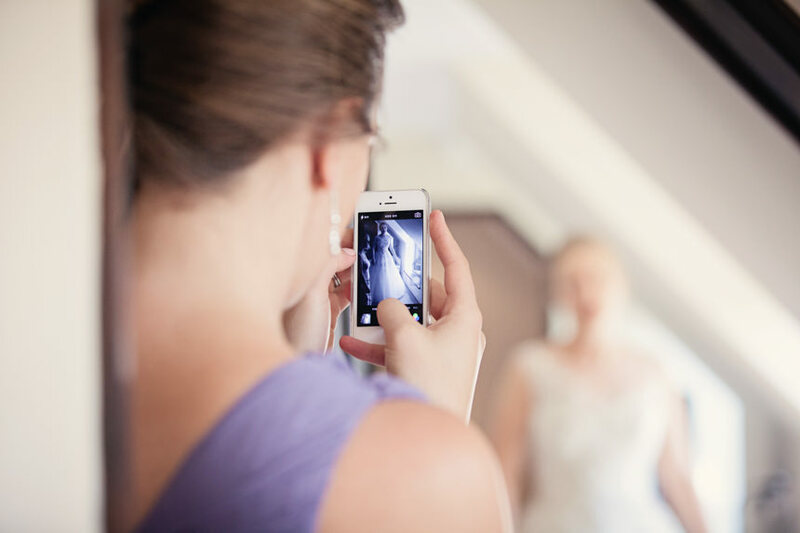 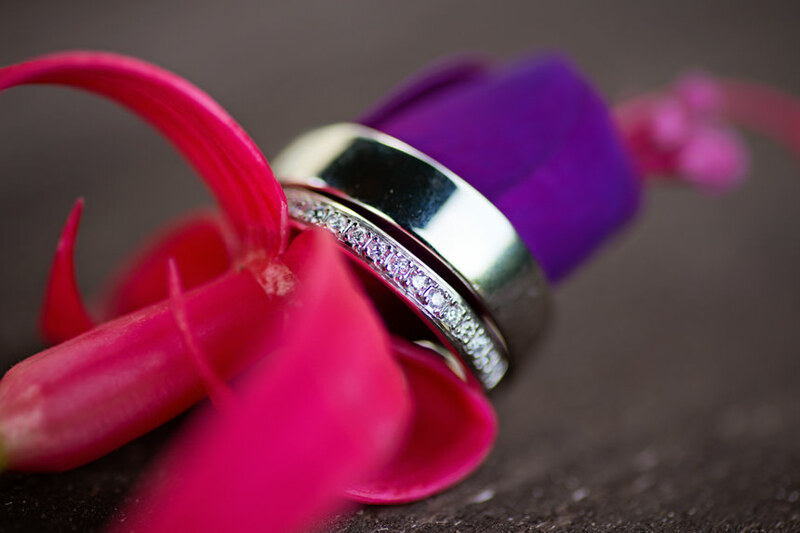 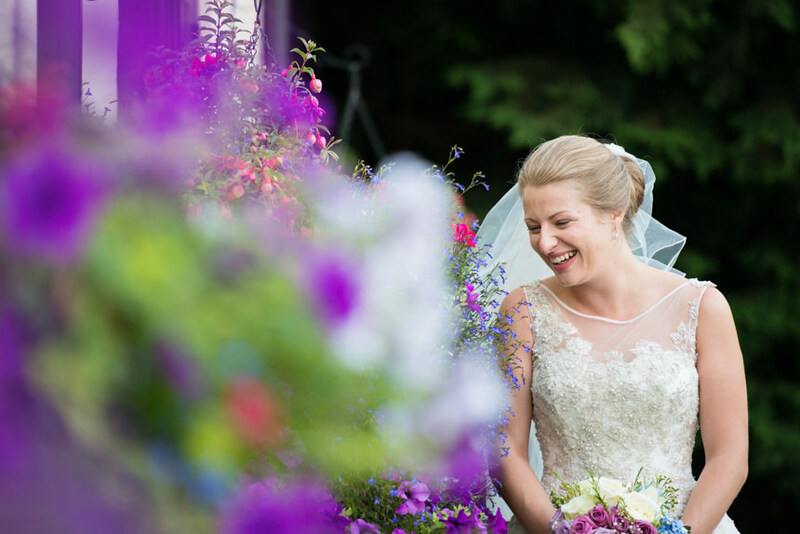 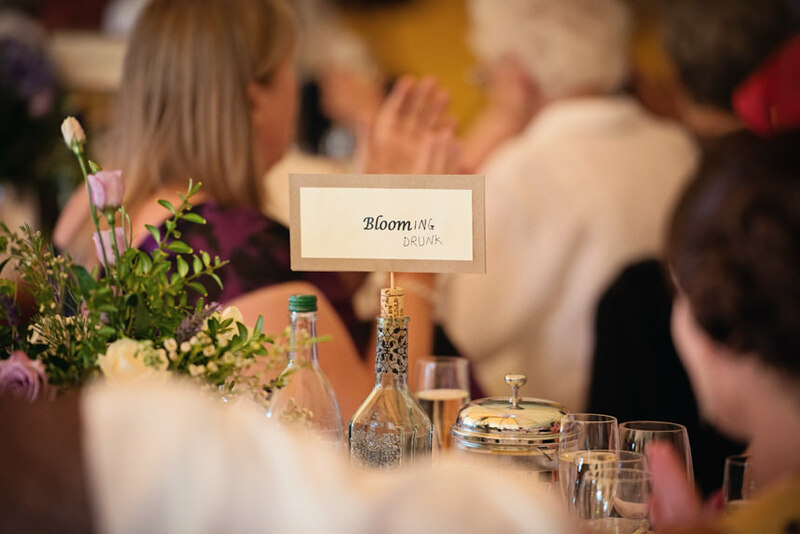 If you like the images in this wedding and would like to make an enquiry about your own wedding day please drop me a line, I’d love to hear from you!